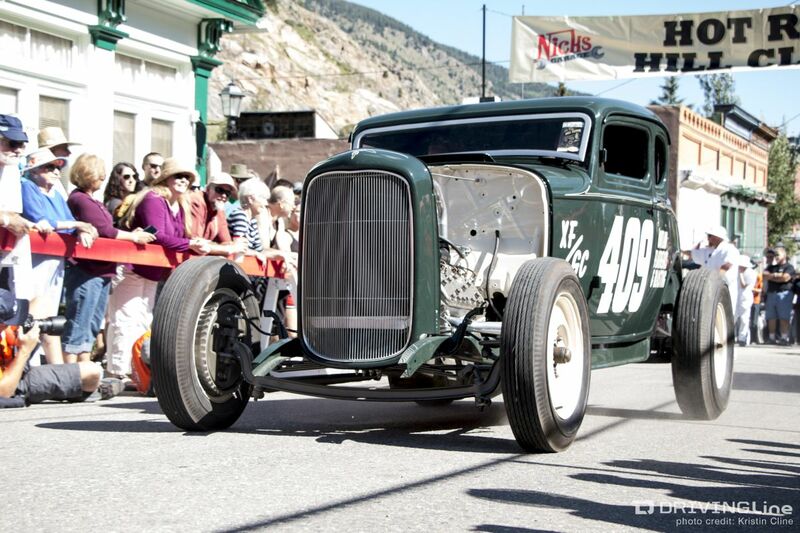 Chances are you’ve been to a car show or two (or three, or hundreds if you're like me). 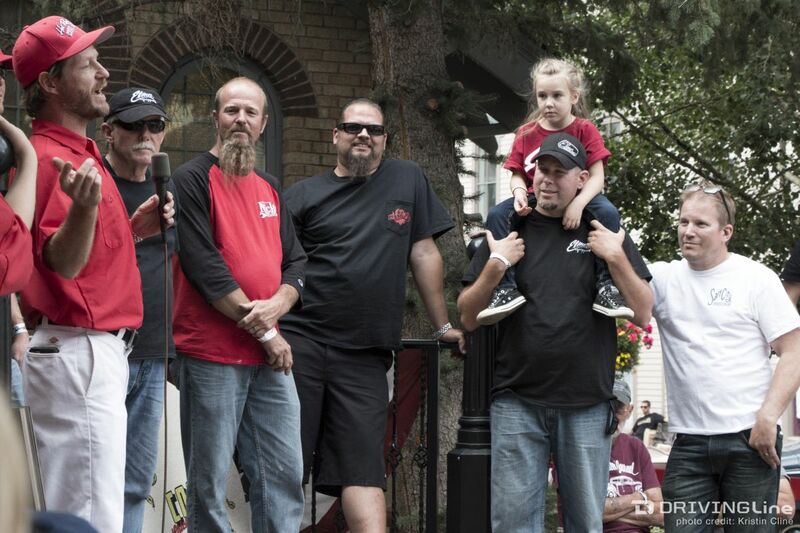 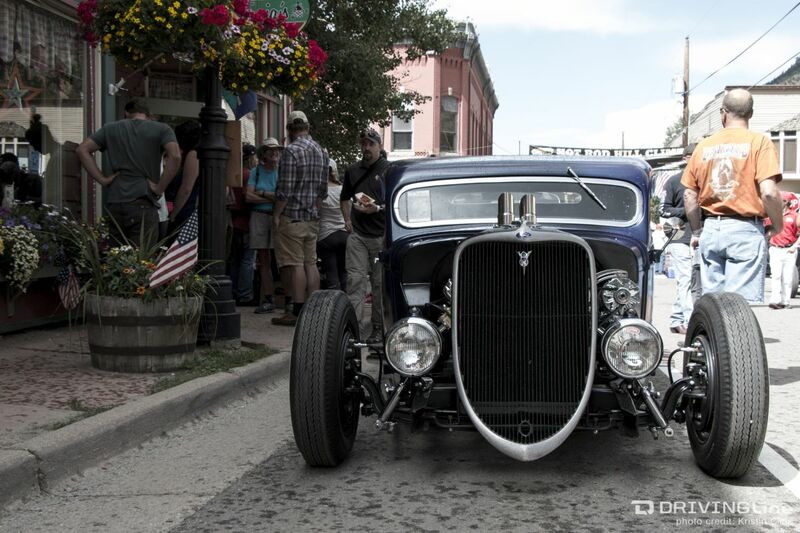 Car shows are awesome - but do you know what is even better? 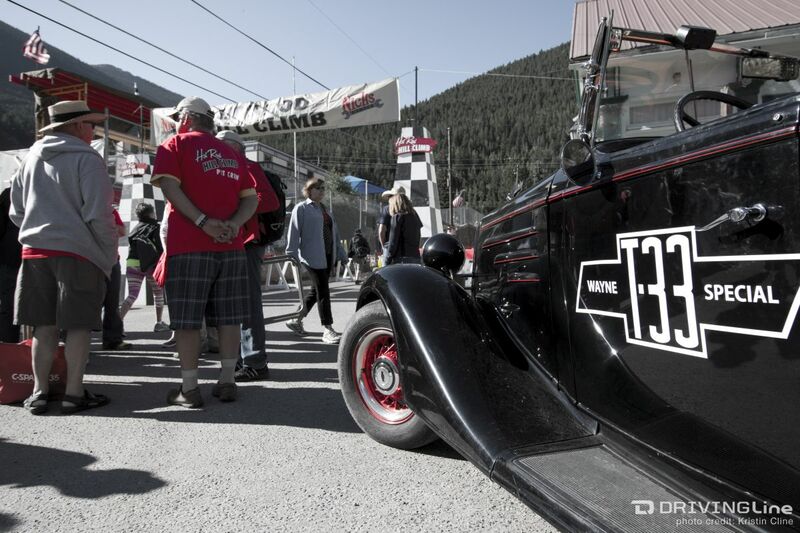 Driving cars… hearing their engines and racing them! 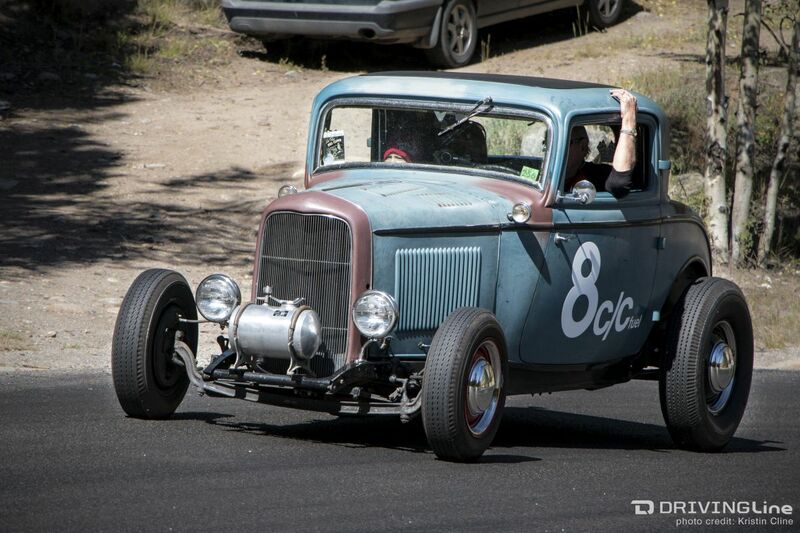 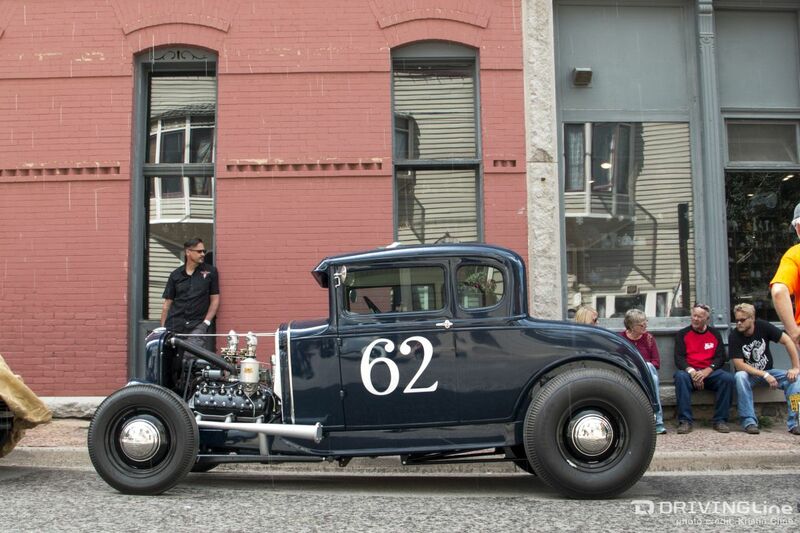 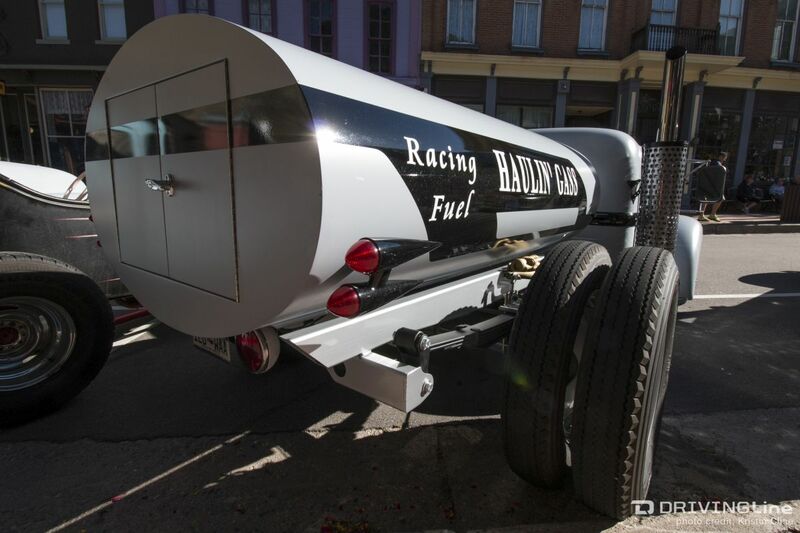 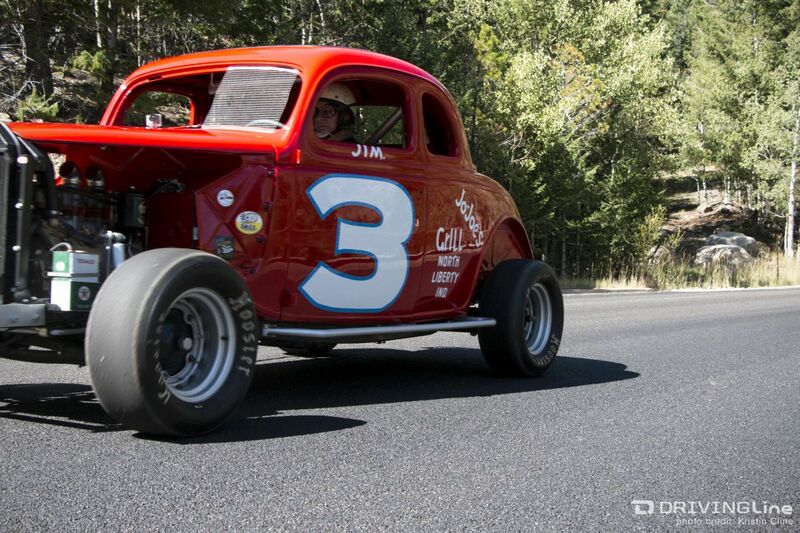 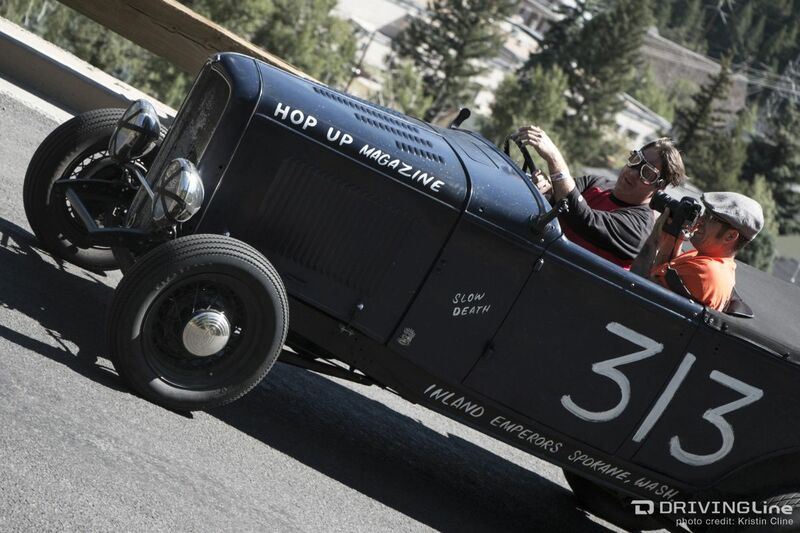 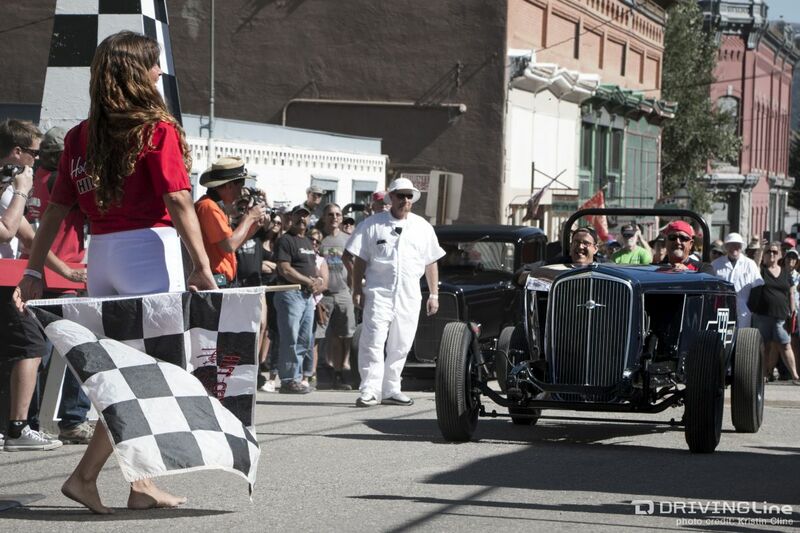 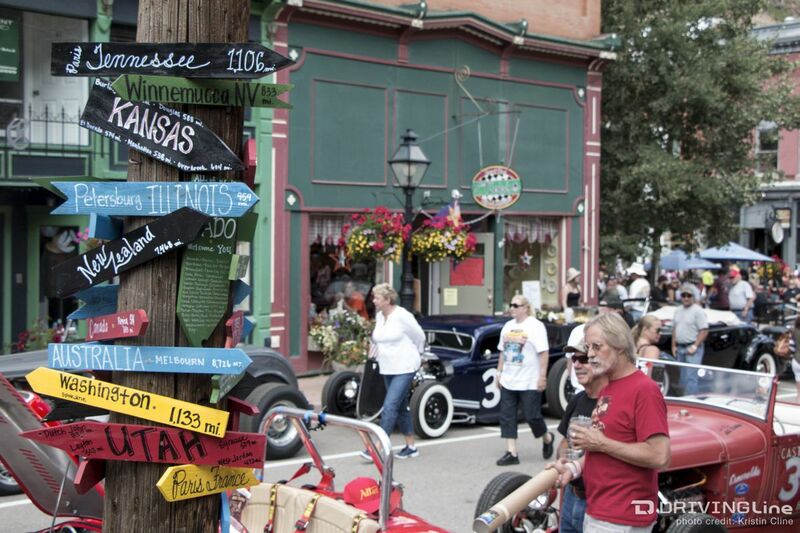 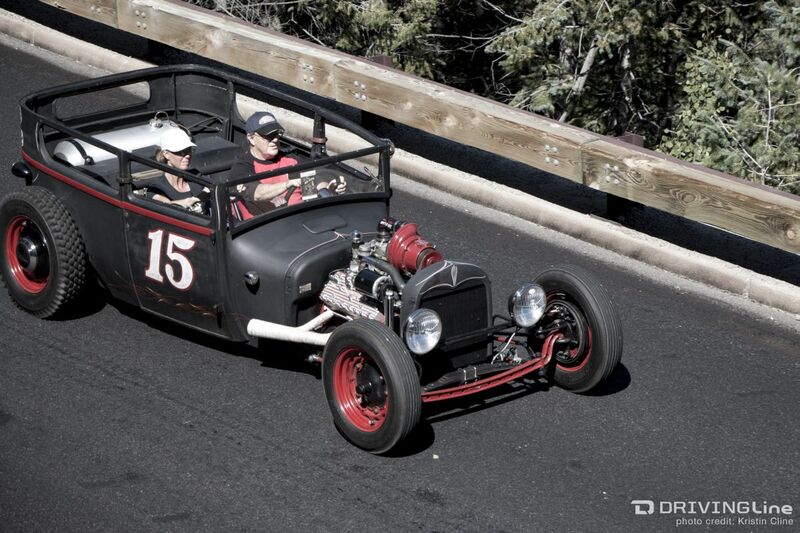 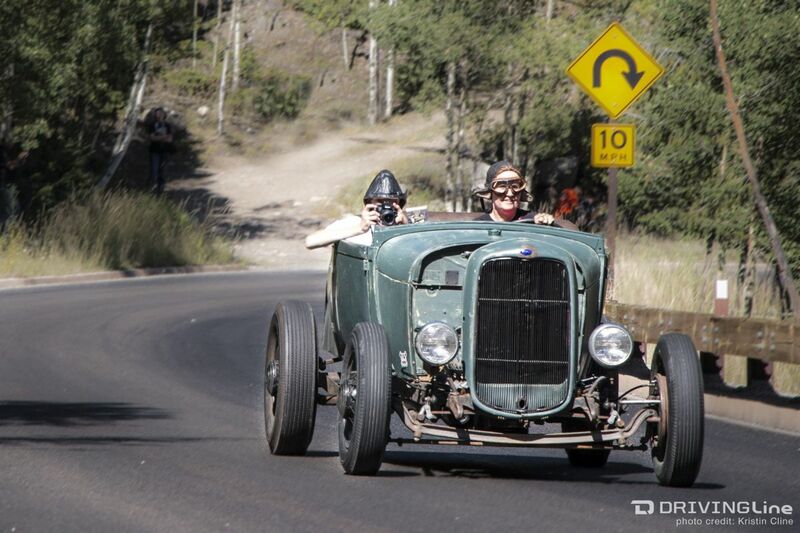 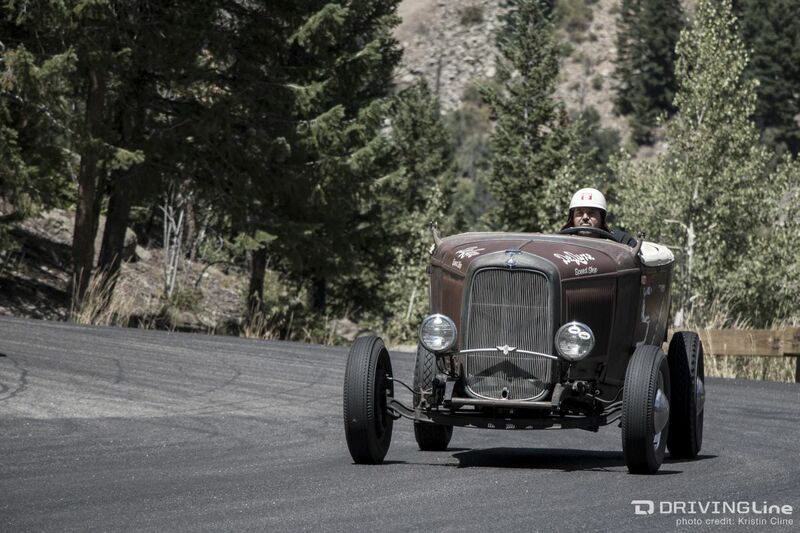 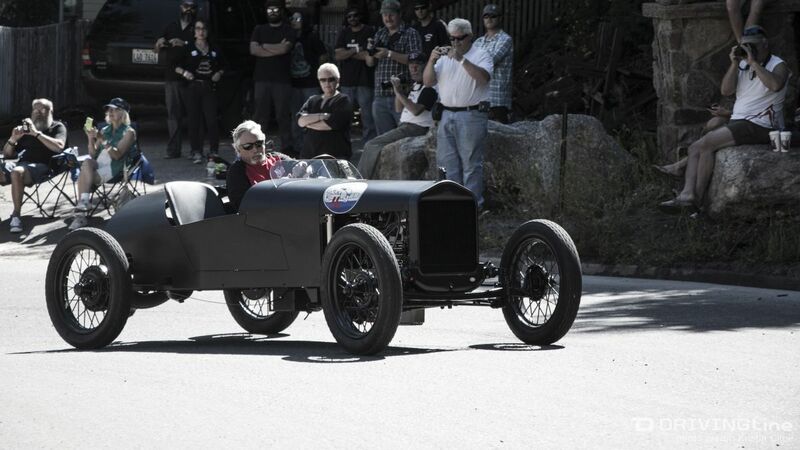 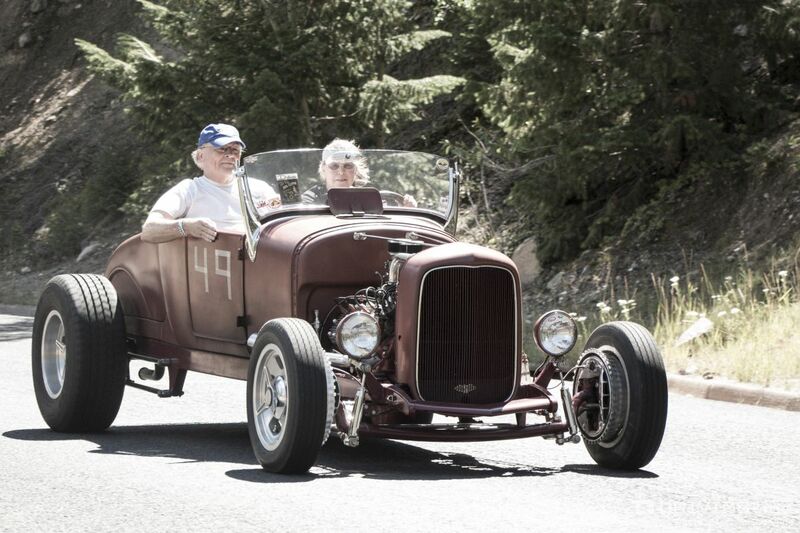 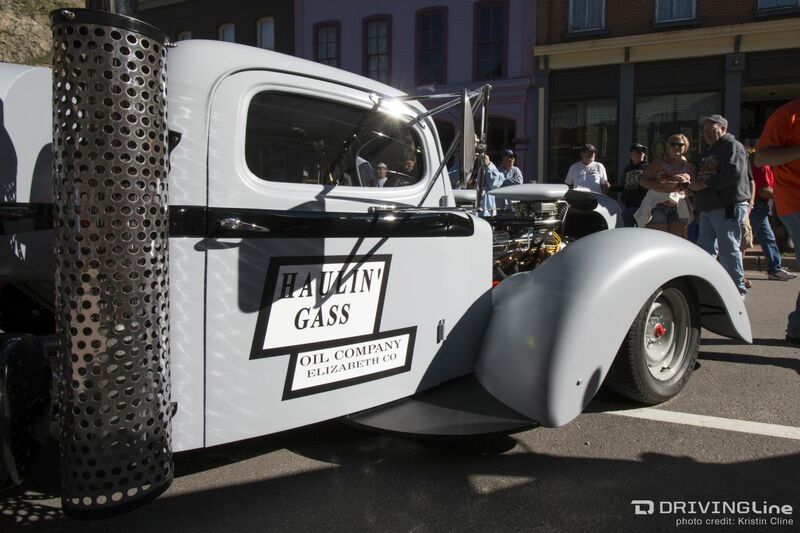 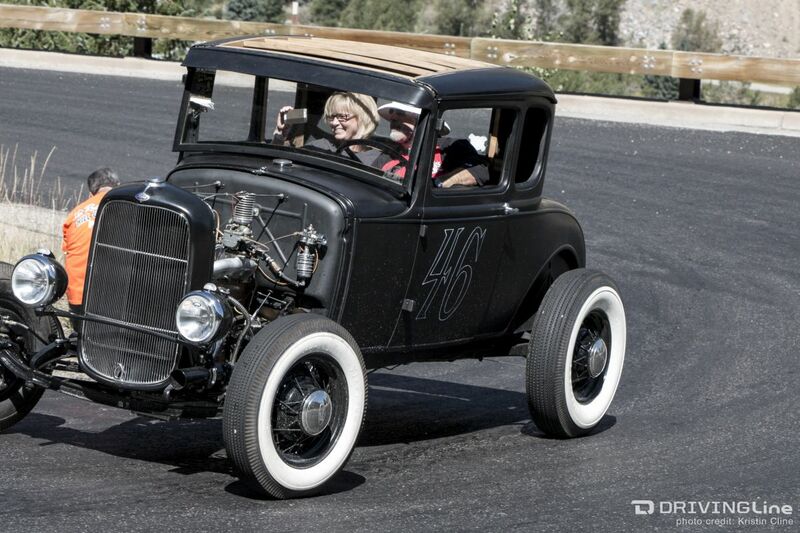 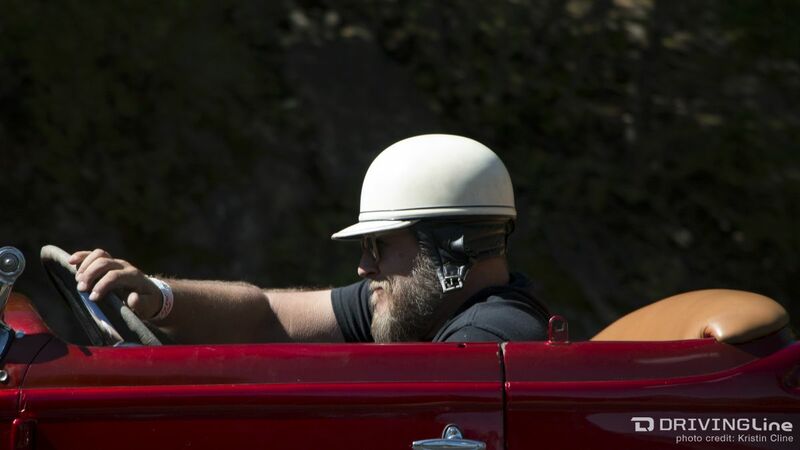 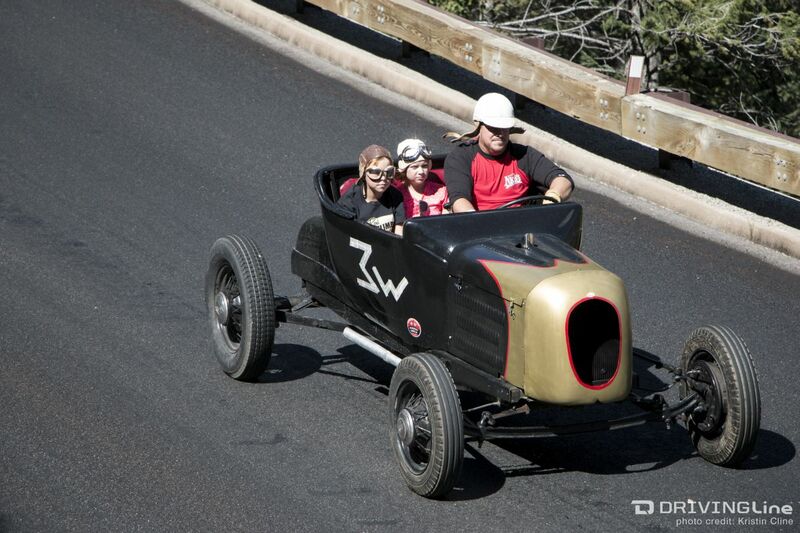 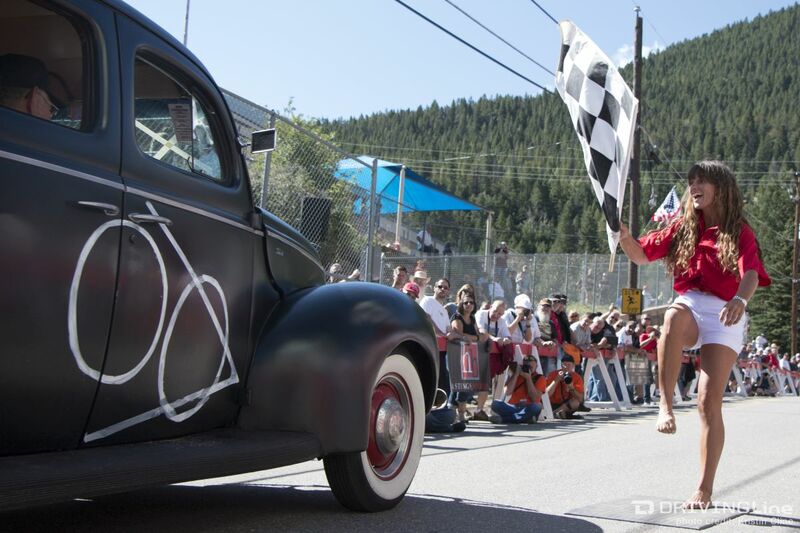 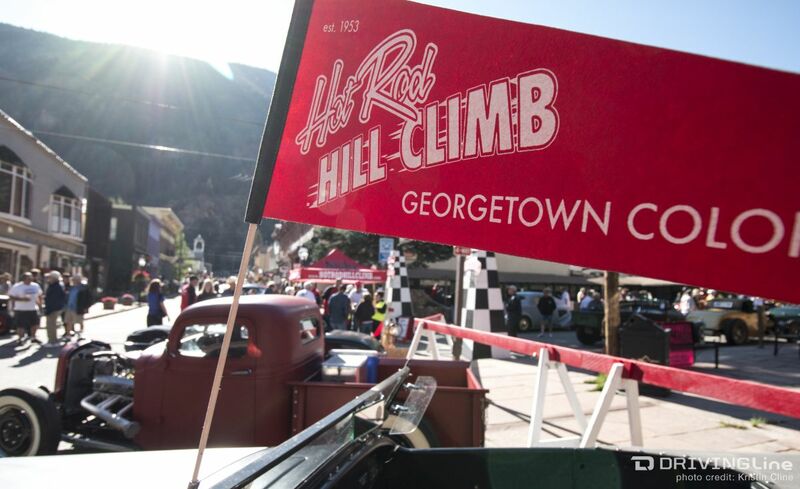 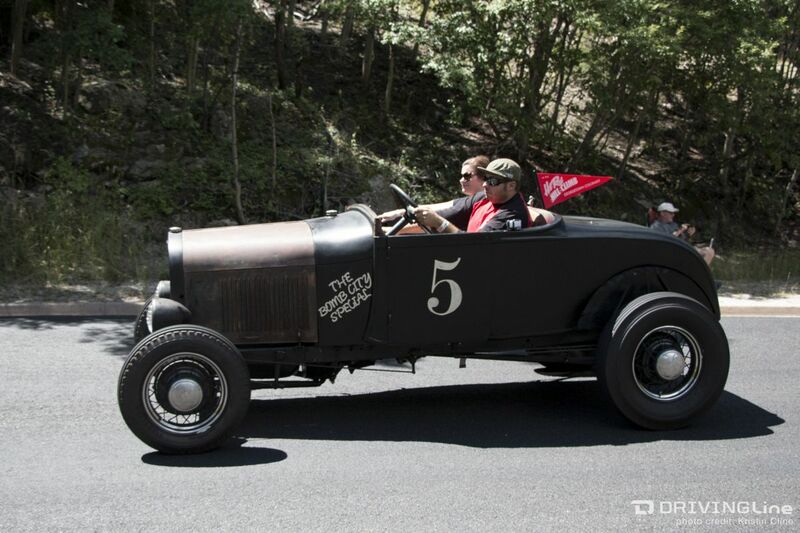 If you’re with me on this, then Hot Rod Hill Climb is a vintage car event you’ve got to see. 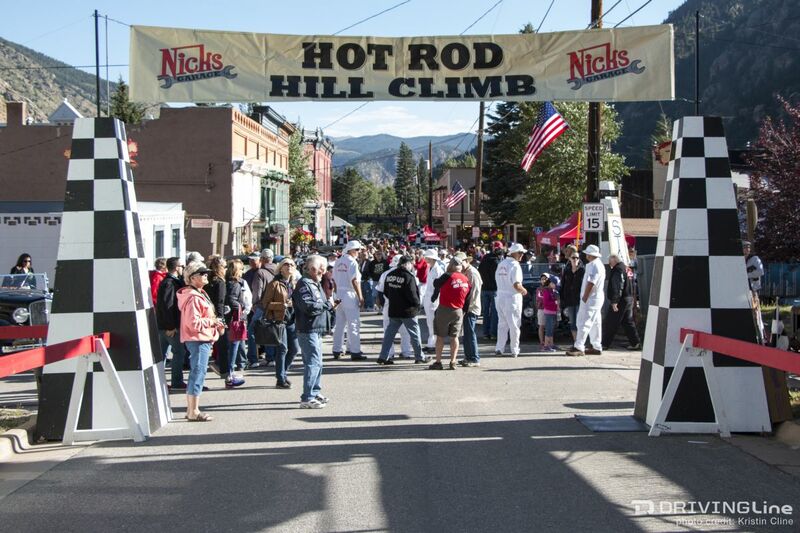 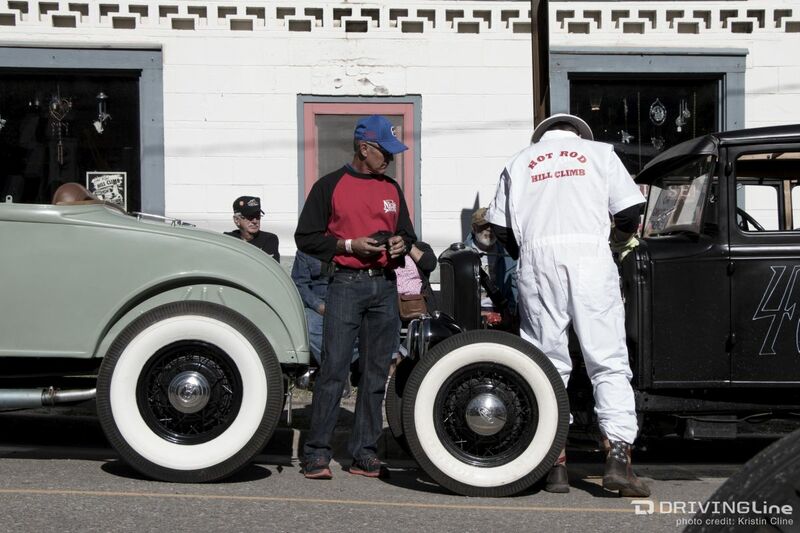 As talked about in our Hot Rod Hill Climb coverage from last year, a bunch of Colorado hot rodders in the ‘50s decided they needed an event of their very own. 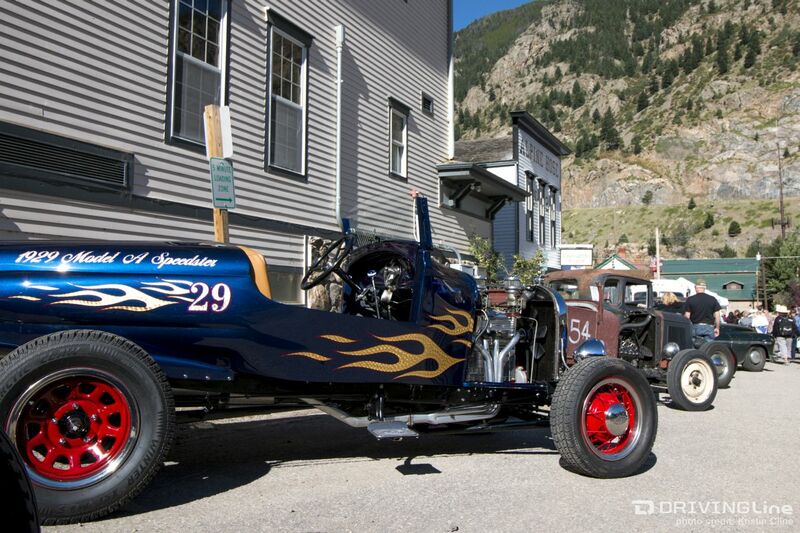 The tiny village of Georgetown allowed them to take it over once a year and open up the throttle on Guanella Pass heading out of town. 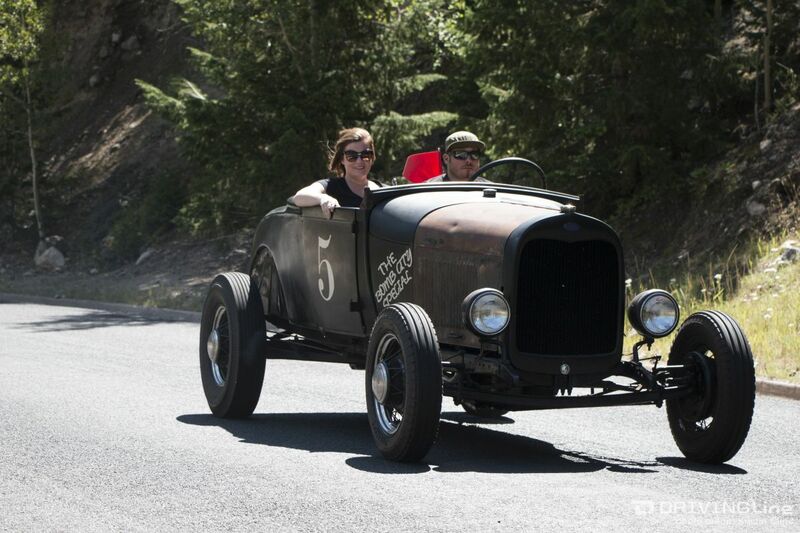 The ~1.5 mile course up the mountain is steep enough to give these nostalgic hot rods a run for their money and to designate bragging rights for the quickest car. 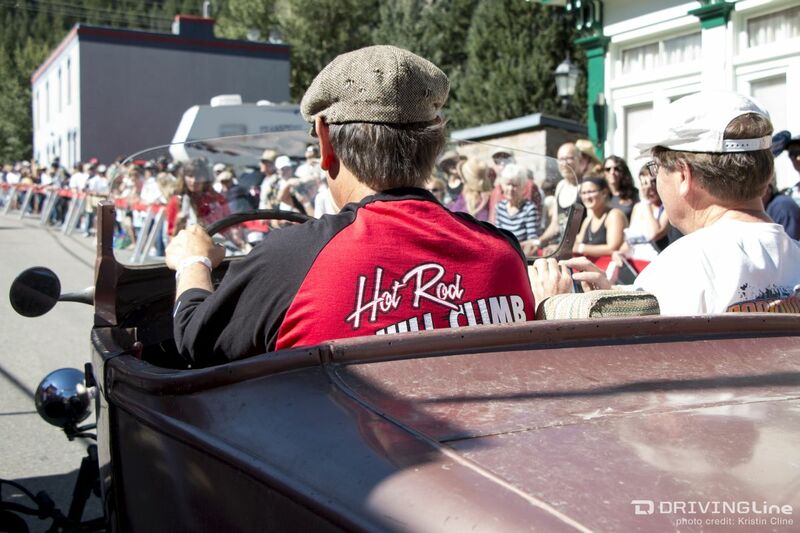 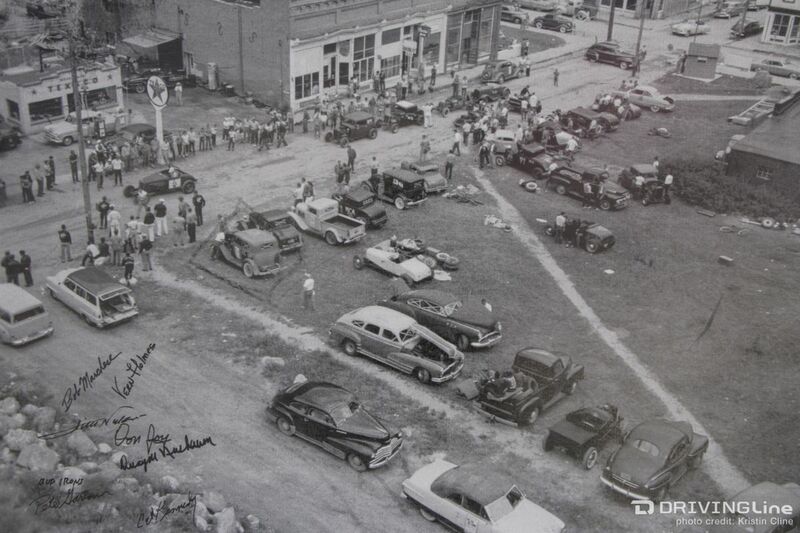 Of course, back then just as today, getting together and enjoying hot rods was reason enough. 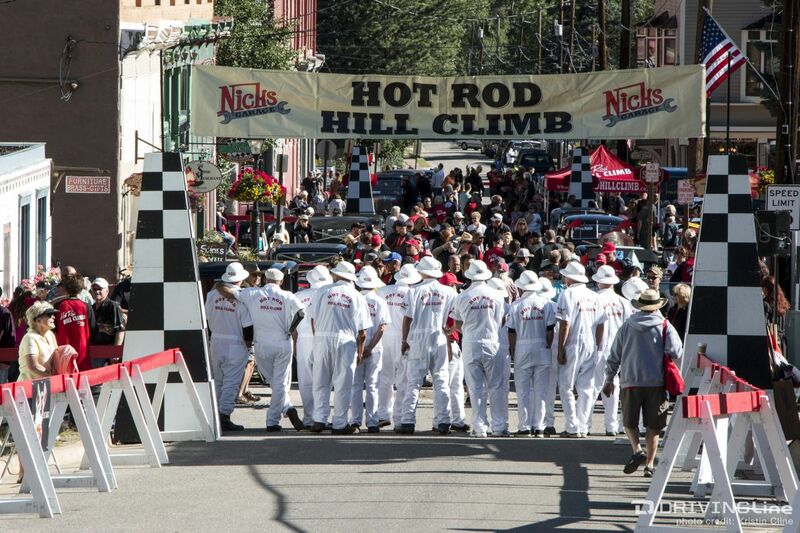 From its start in 1953 to what is now the 3rd consecutive year of the event’s re-birth, driven by Mike “Nick” Nicholas, Hot Rod Hill Climb brings together strictly pre-1955 hot rods with pre-1955 engines to match – just like what would have been present at the original event in ’53. 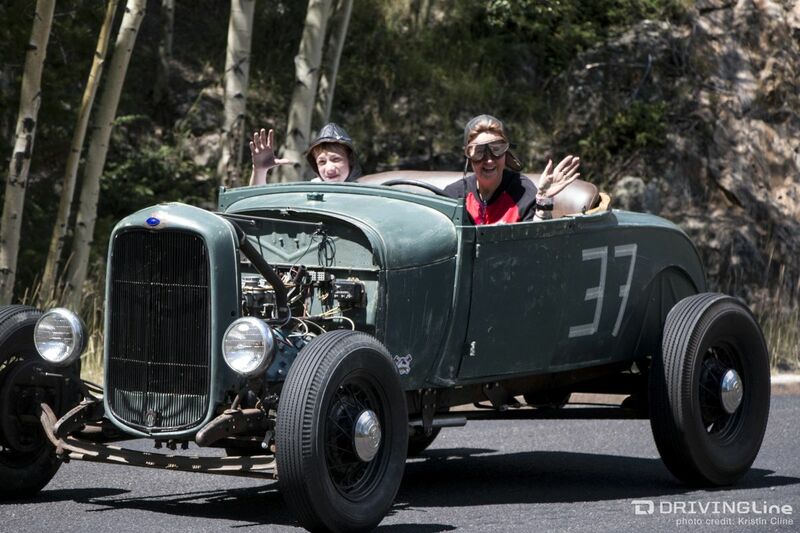 The love of history is evident everywhere – from the cars themselves, to the inclusion of fellas who took part in the original hill climbs, to a great display including trophies and old photos from the Strippers Car Club who are to thank for setting up the event way back in 1953-54. 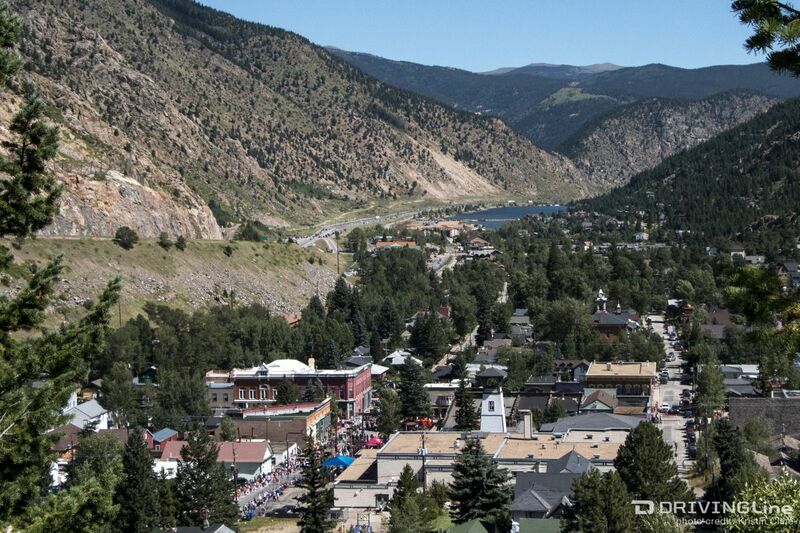 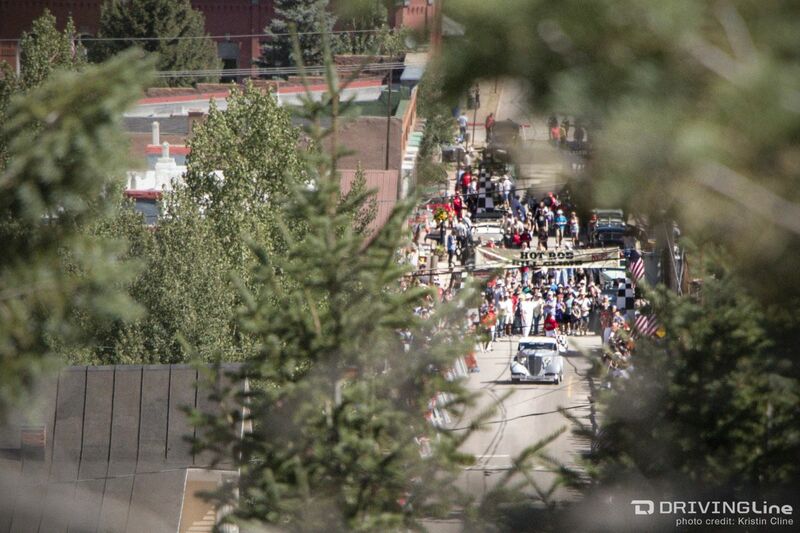 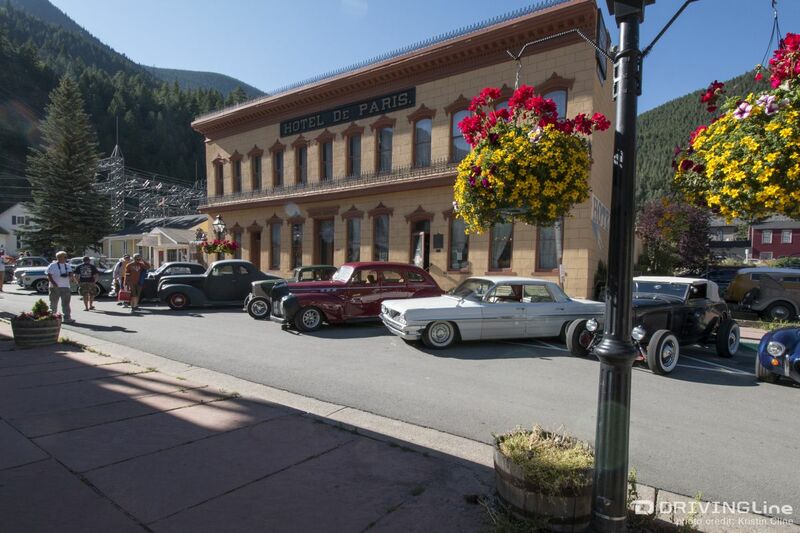 Congregating in town, which doesn’t look far different from how it did back then, all 108 registered cars are parked along the main drag leading up into Guanella Pass. 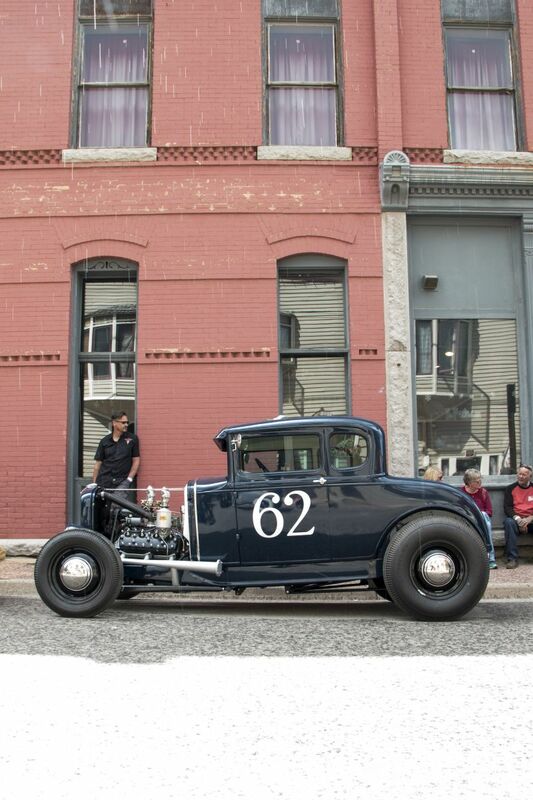 While parked, these become a car show, with the rest of downtown parked full of those who maybe don’t fully qualify as pre-55, or aren’t in the shape to make the run. 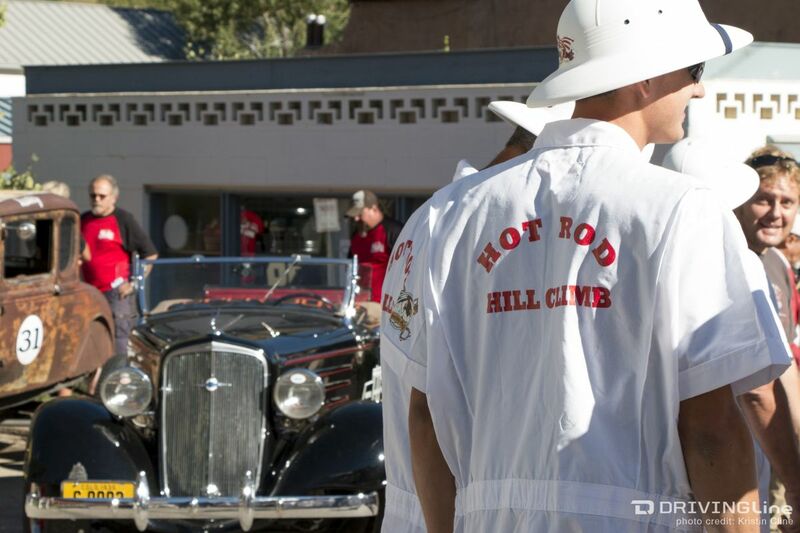 Spectators and participants mill around looking and talking about the cars – while an old-timey band provides the tunes and local food vendors provide the eats. 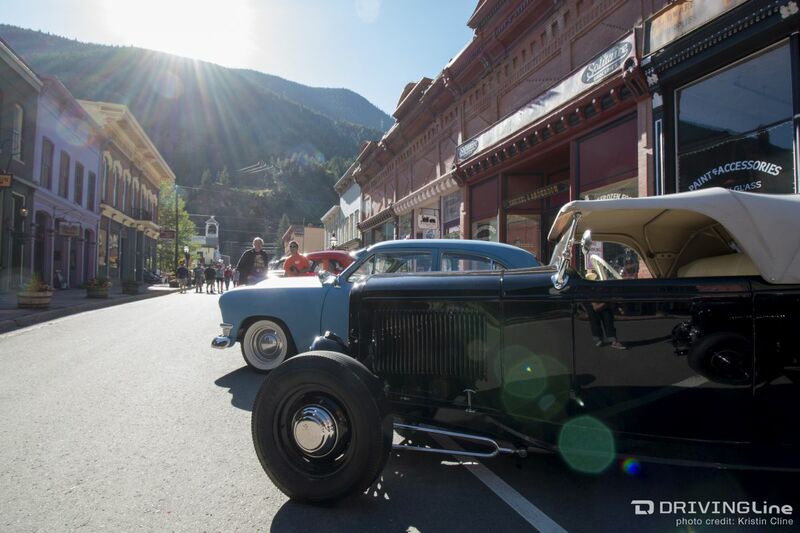 It’s an all-around idyllic way to spend the day, but the main event hasn’t even started. 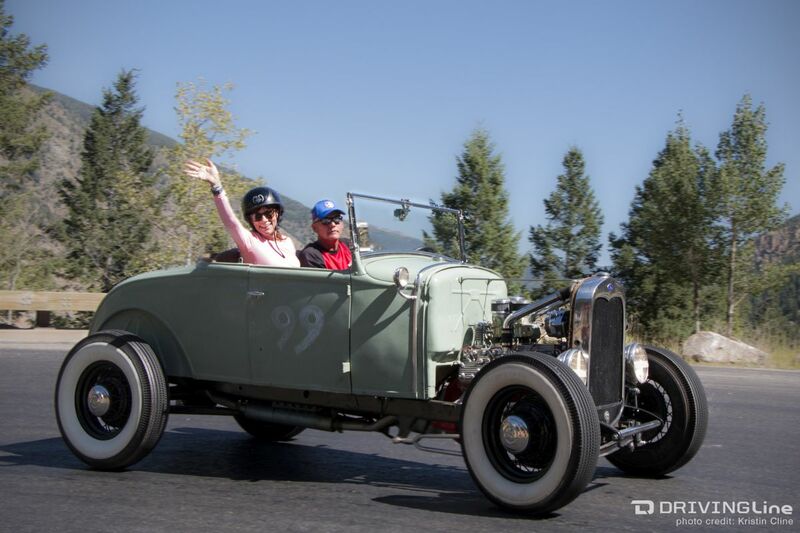 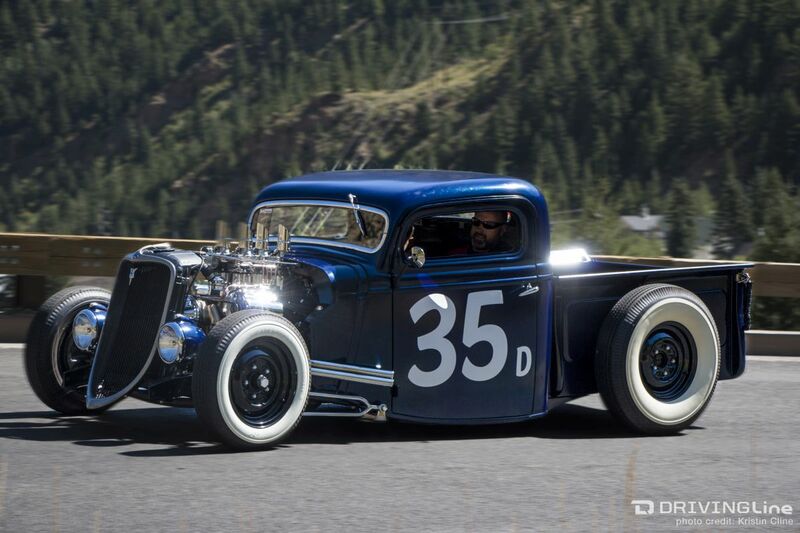 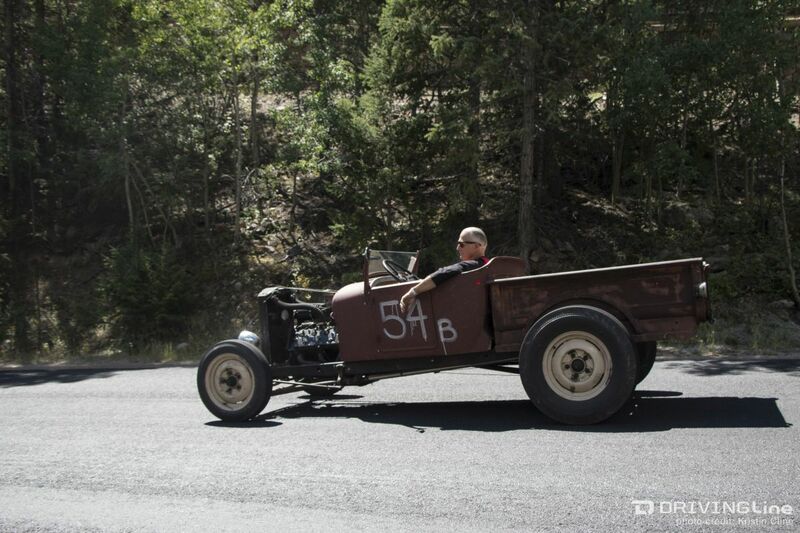 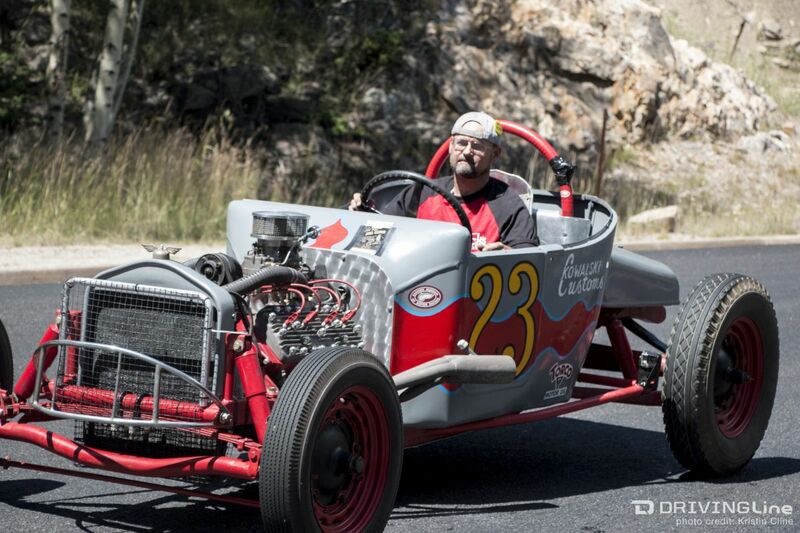 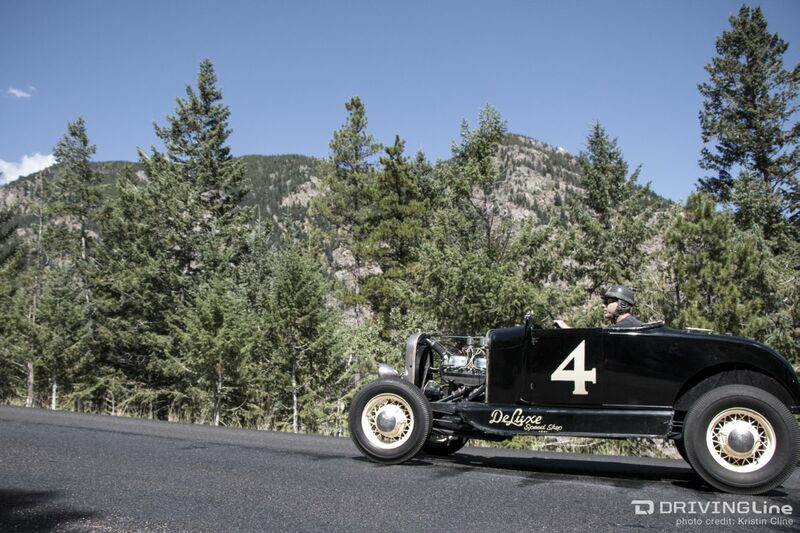 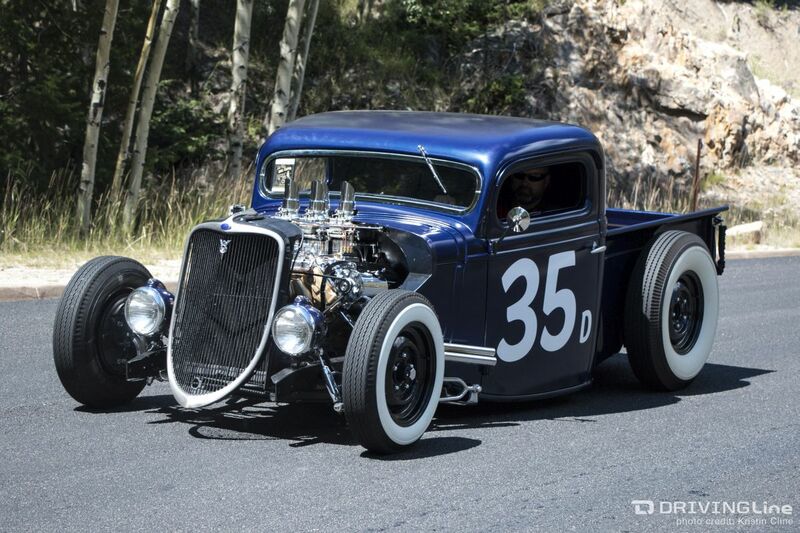 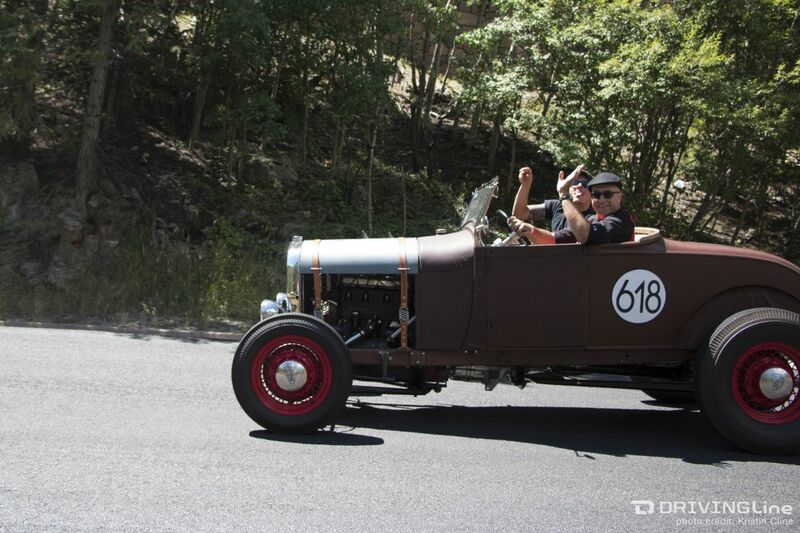 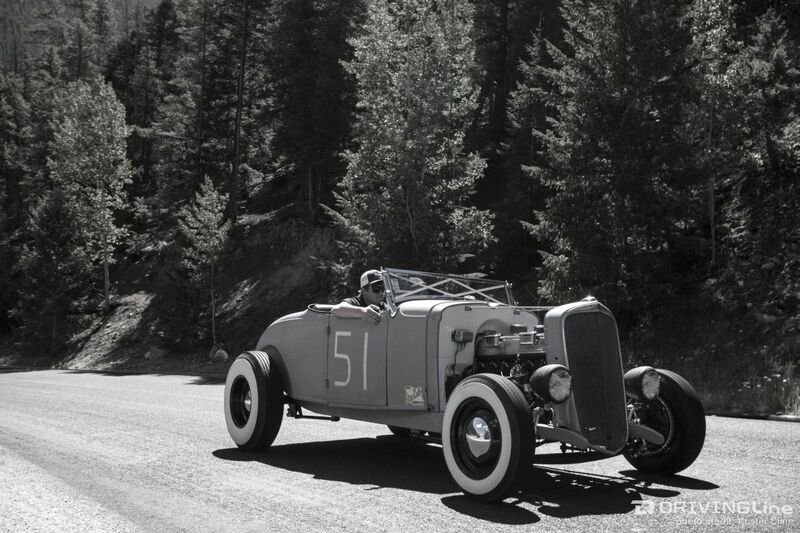 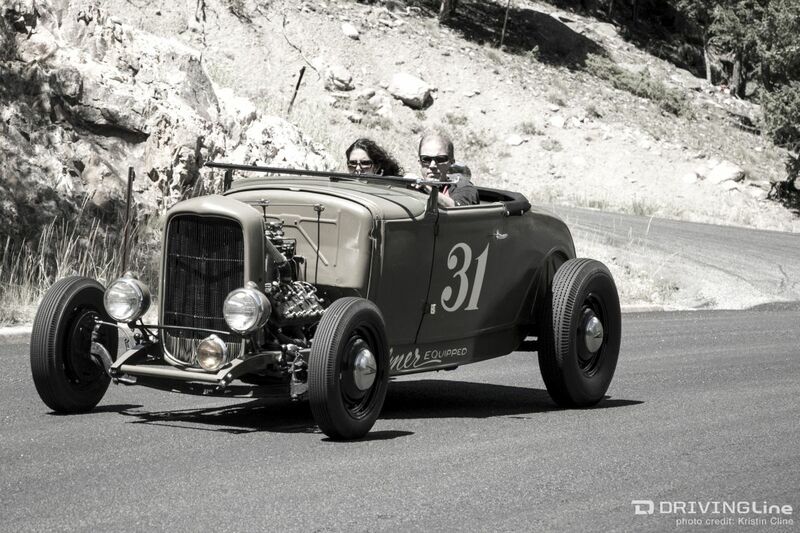 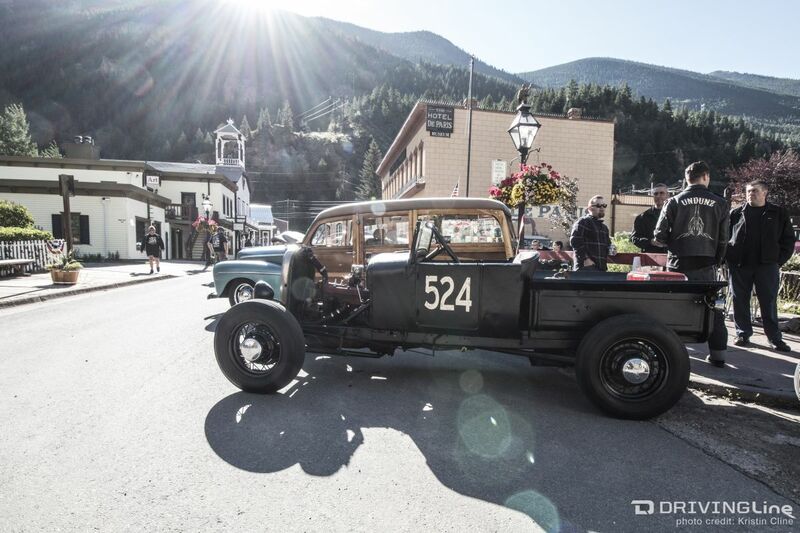 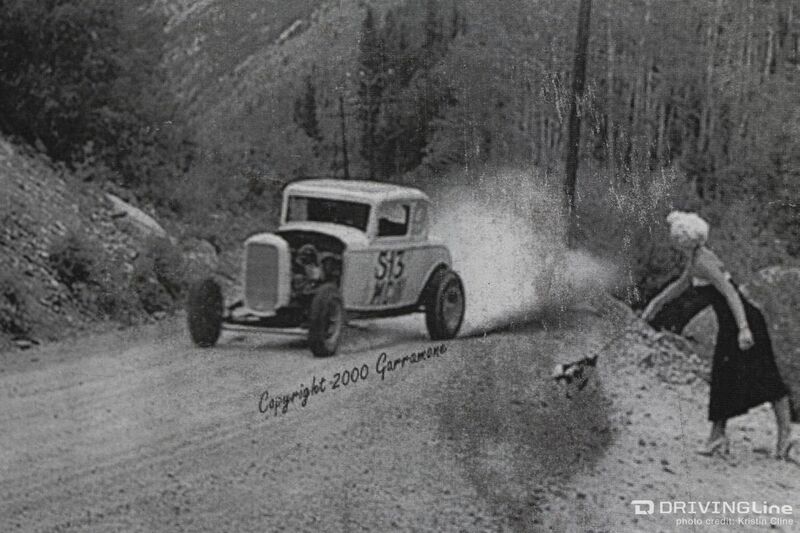 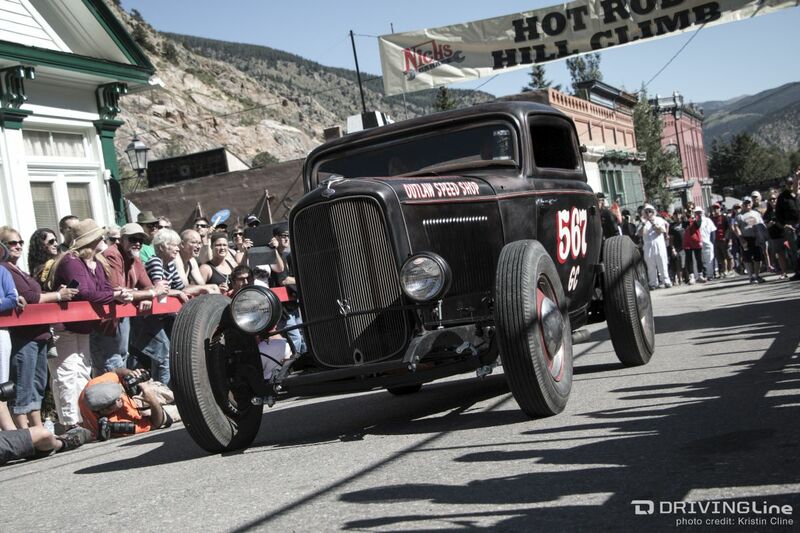 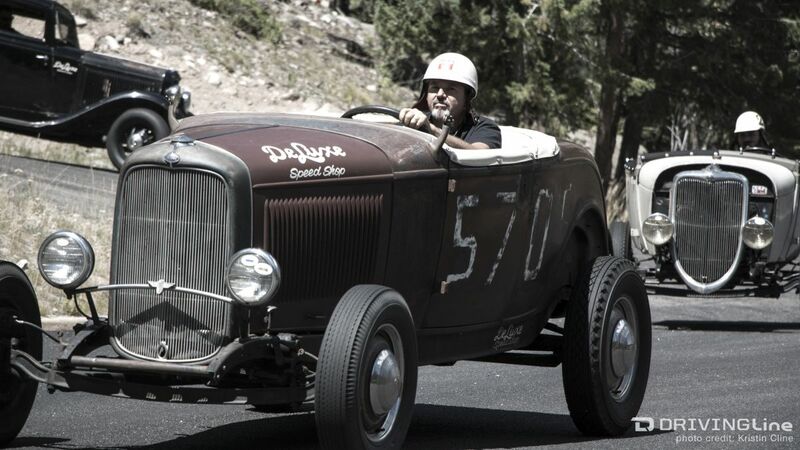 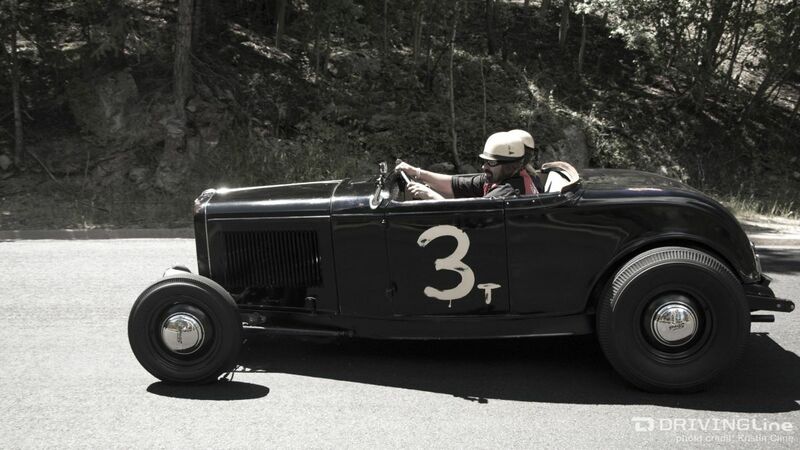 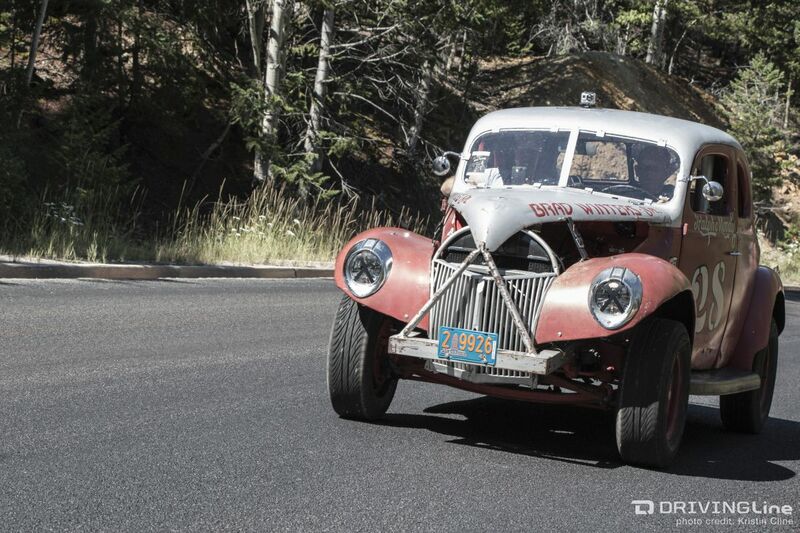 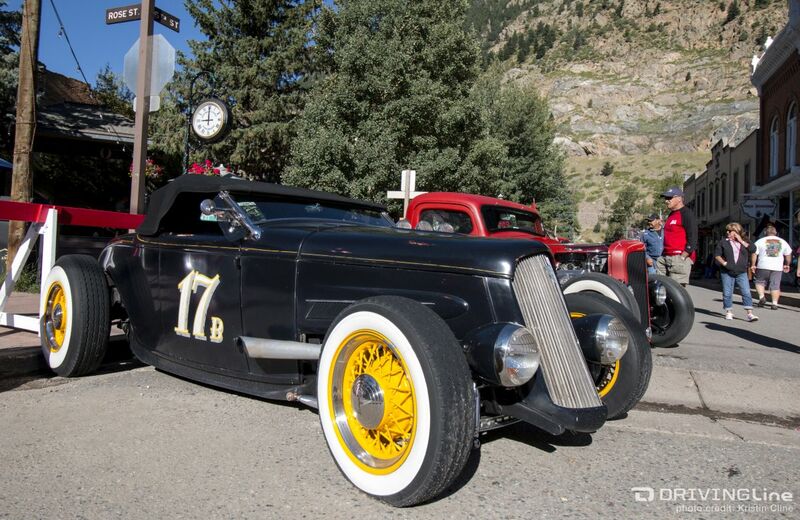 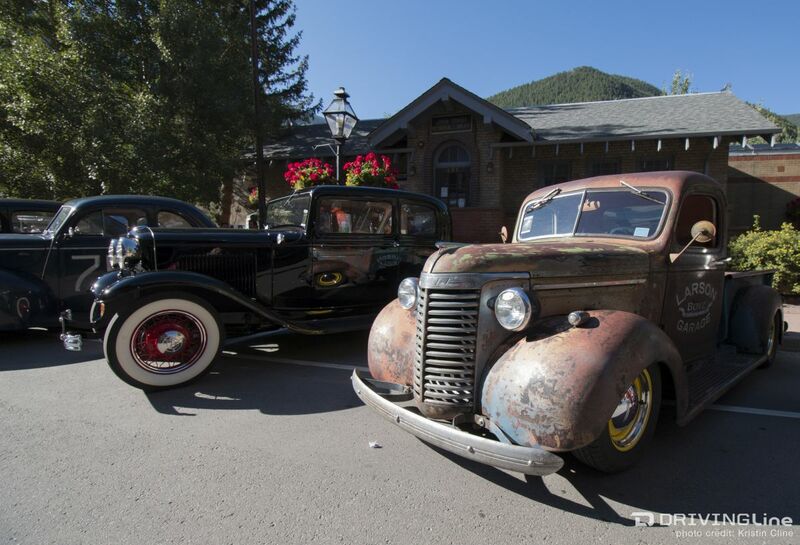 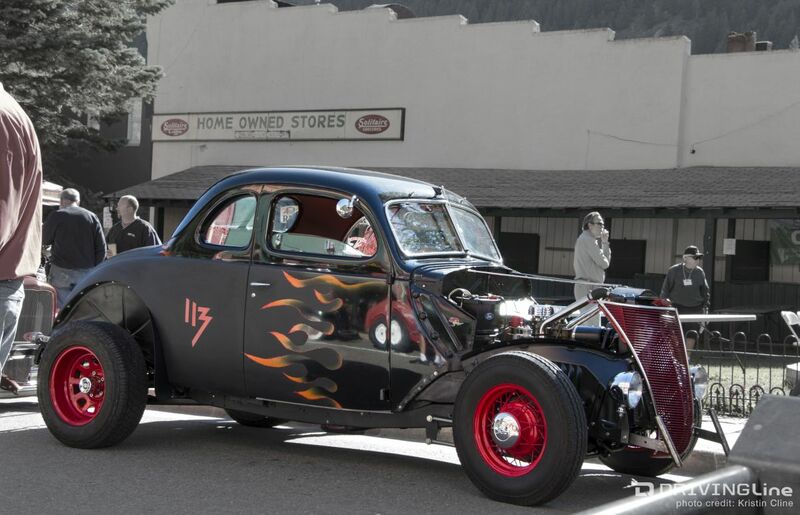 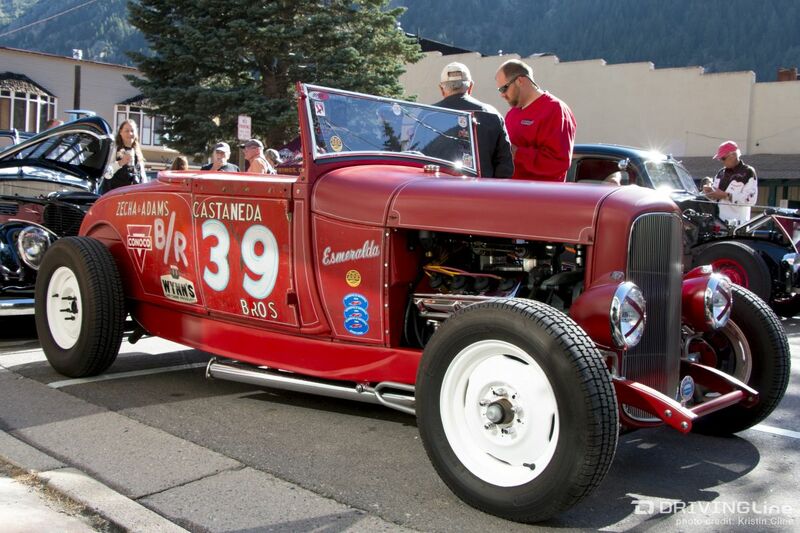 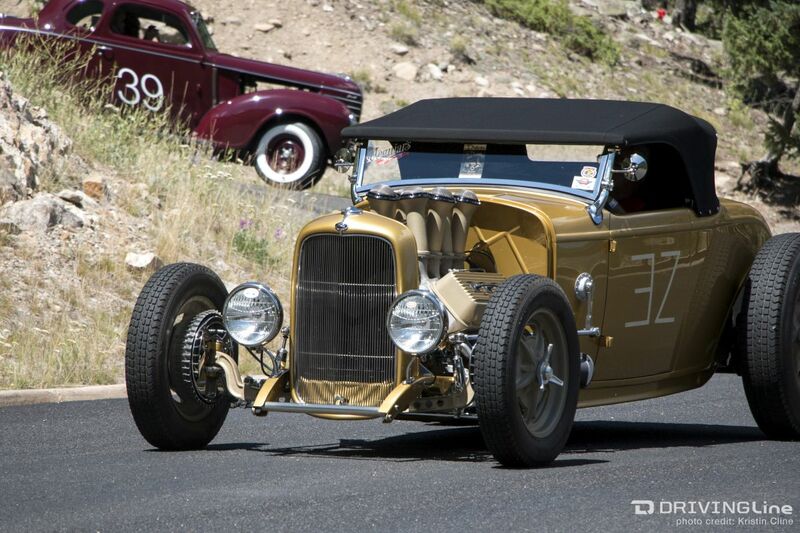 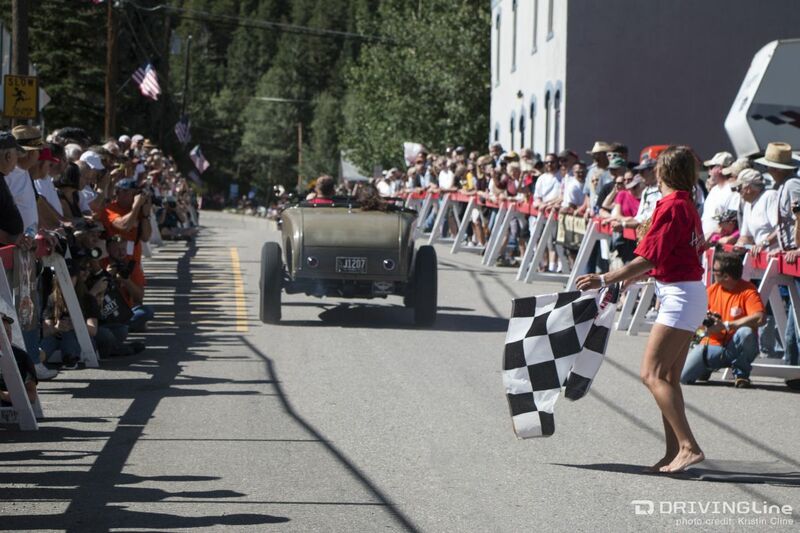 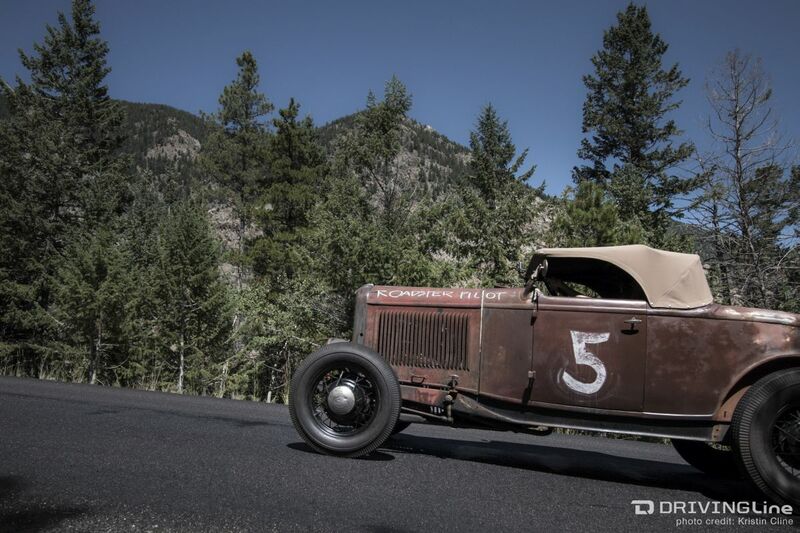 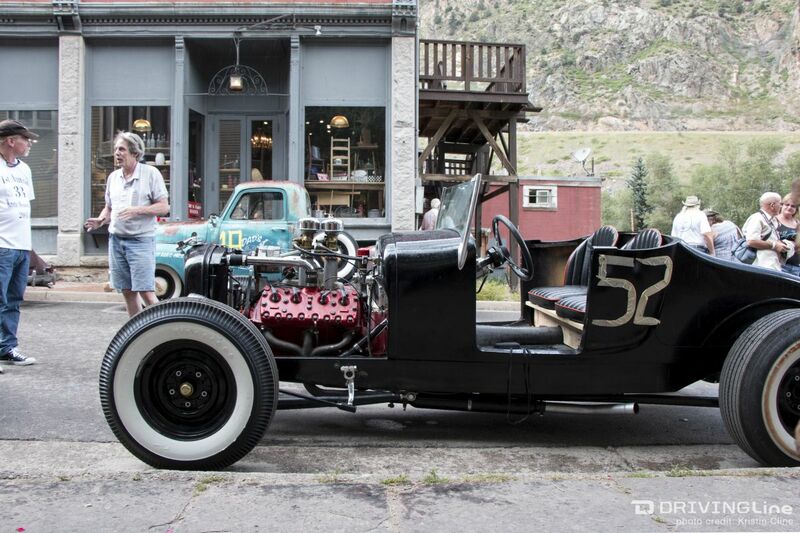 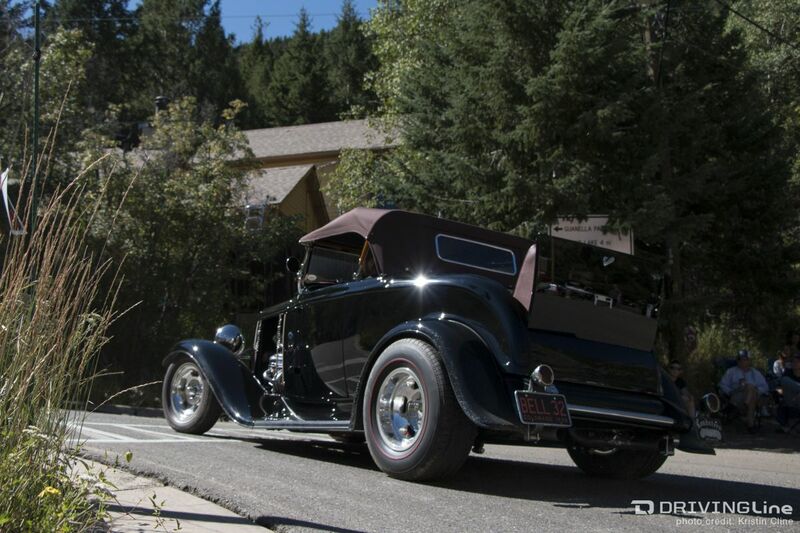 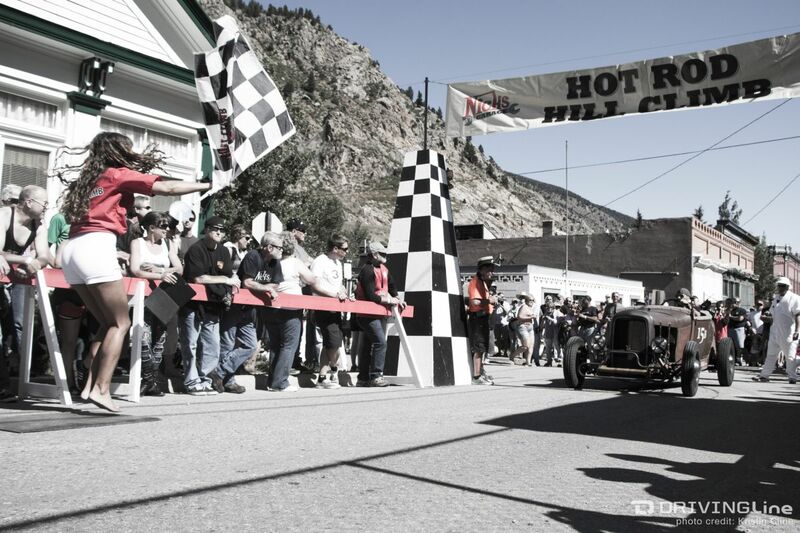 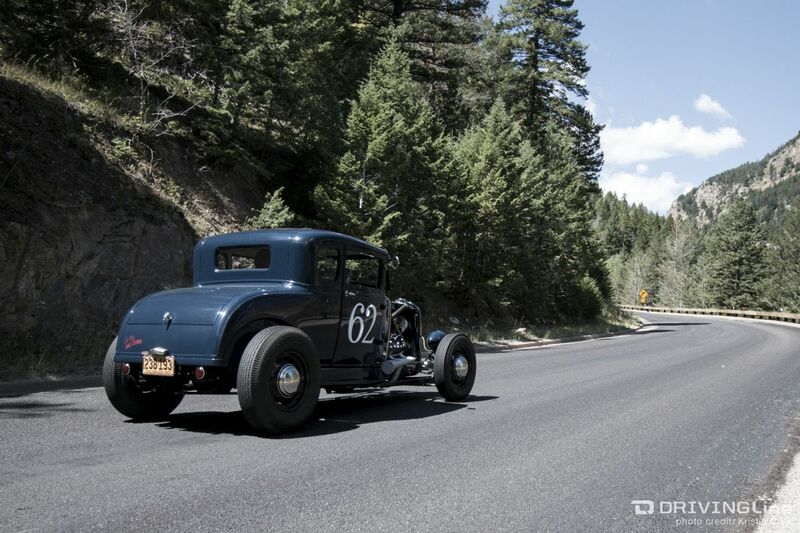 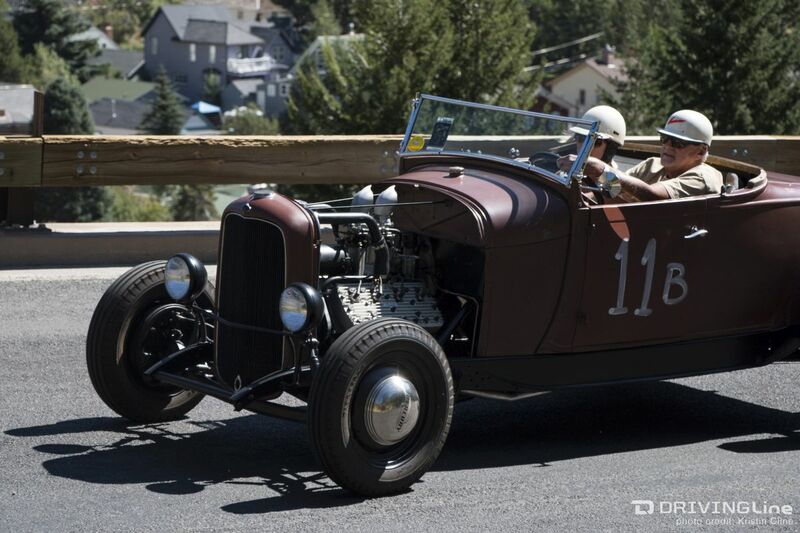 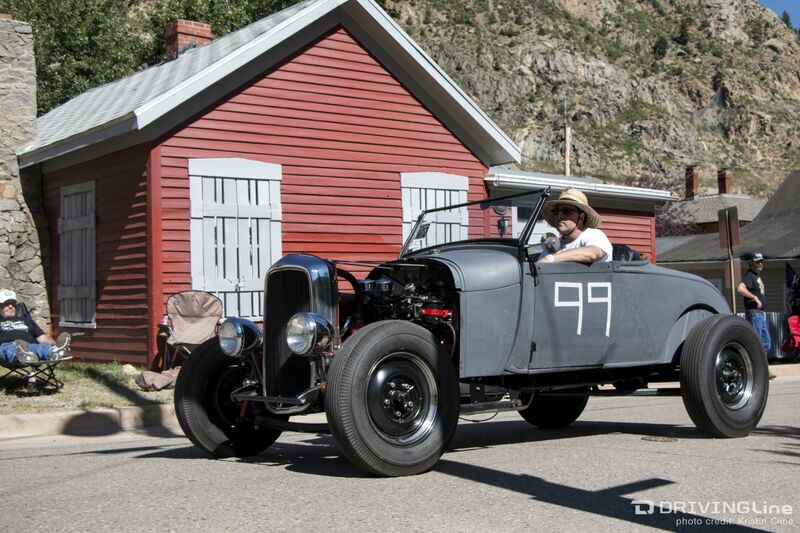 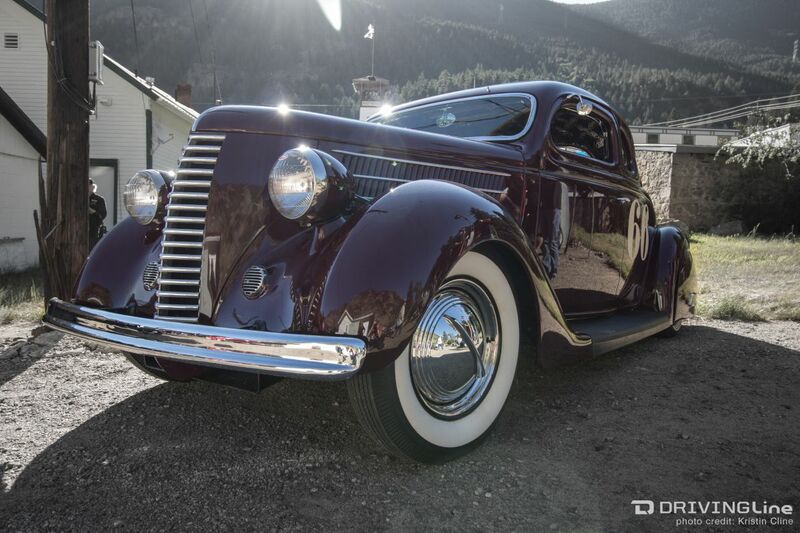 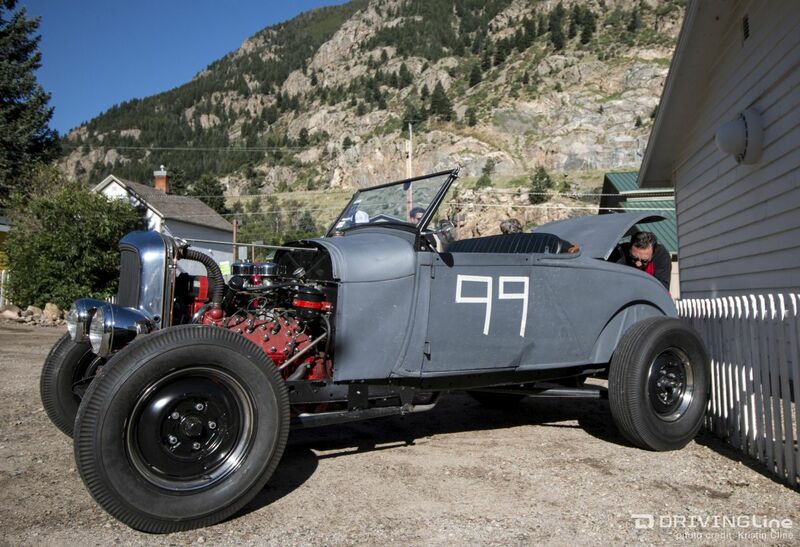 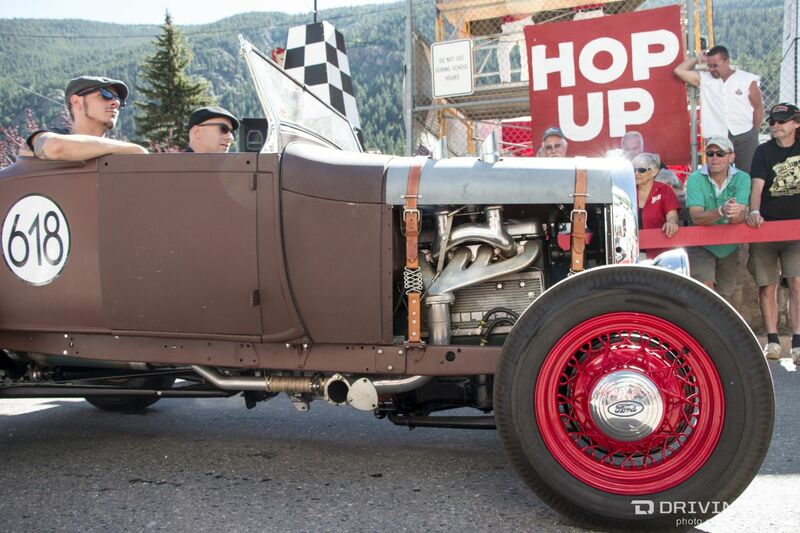 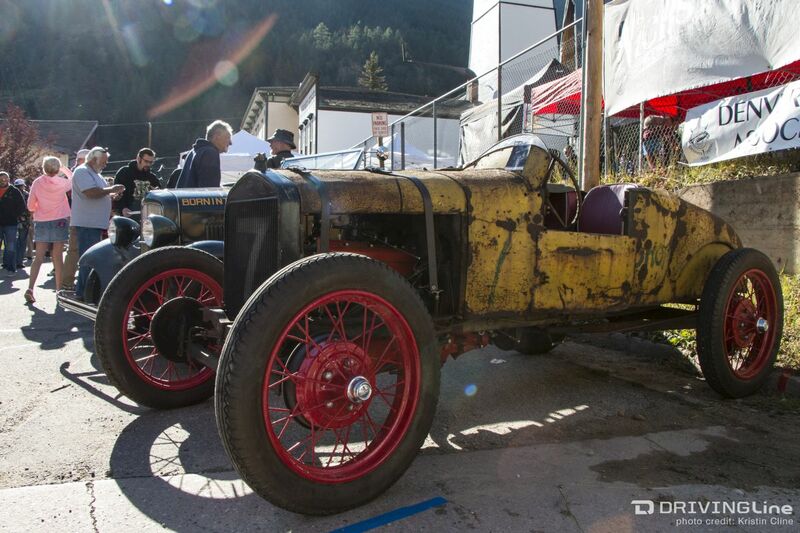 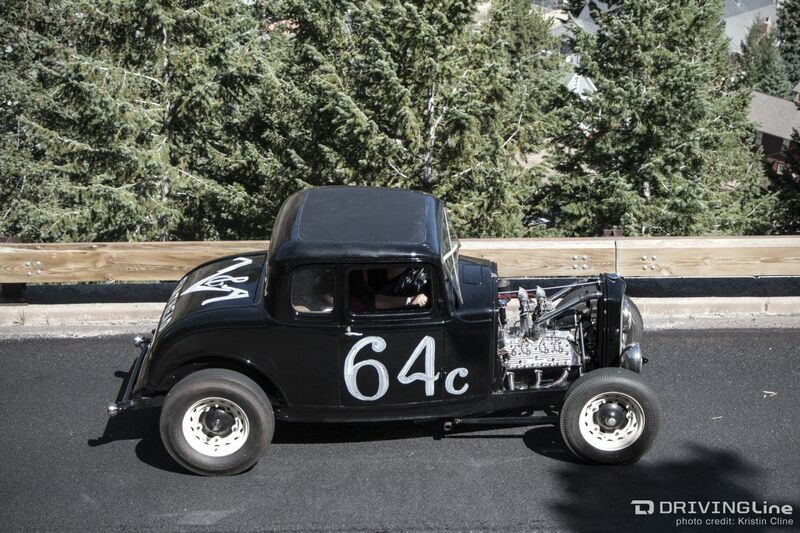 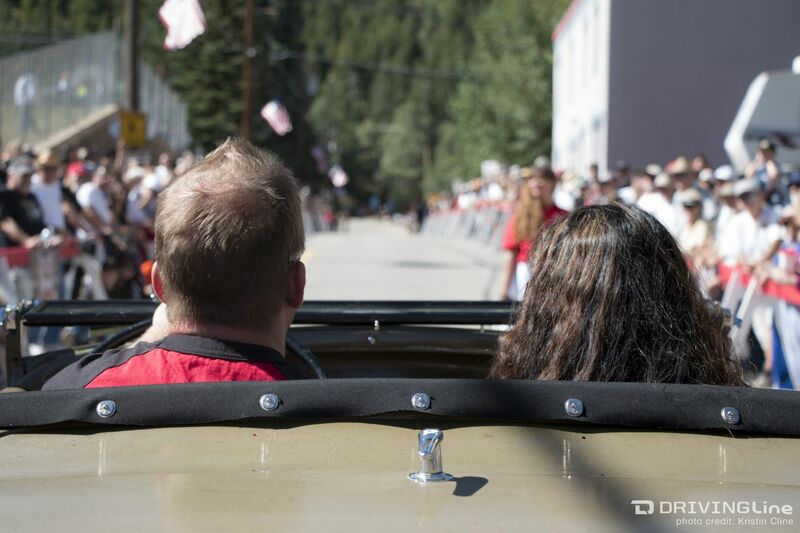 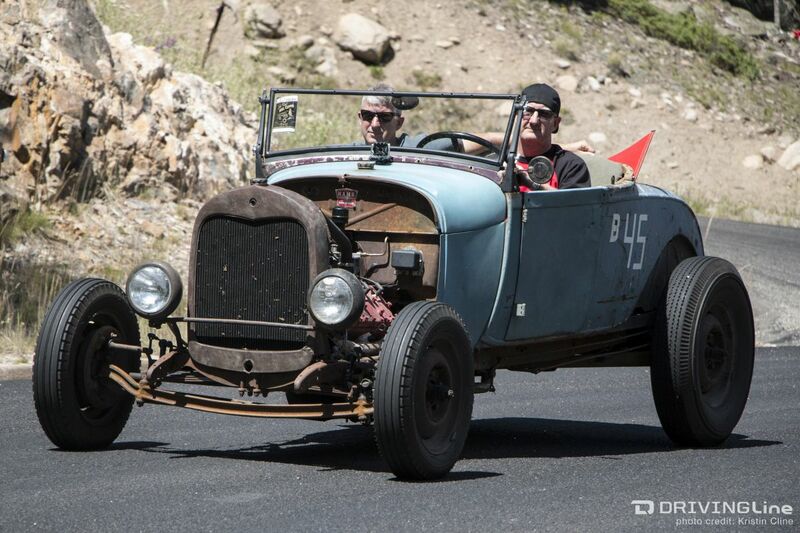 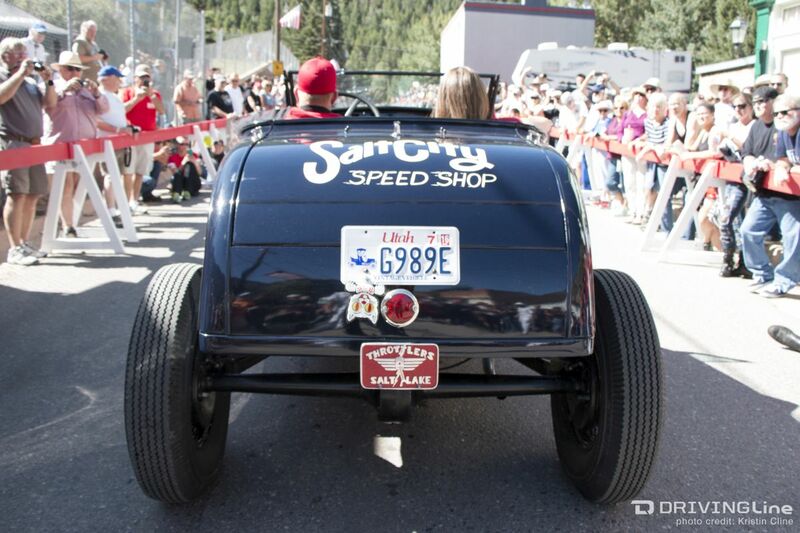 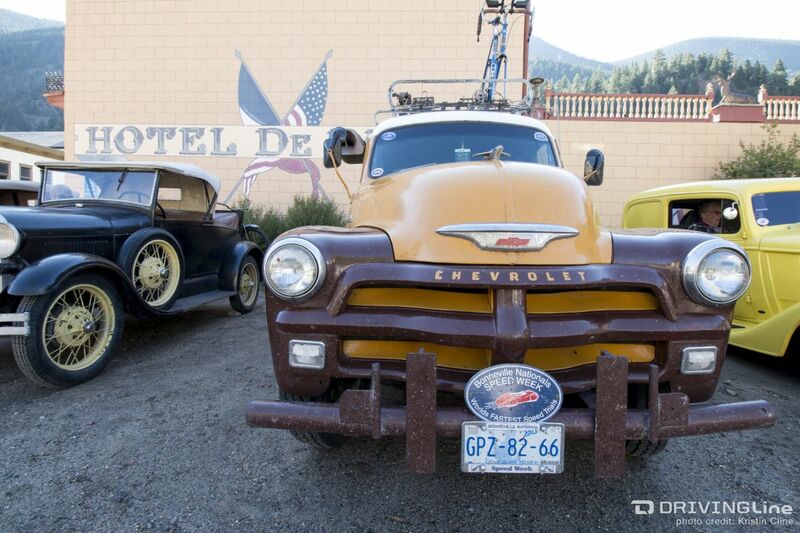 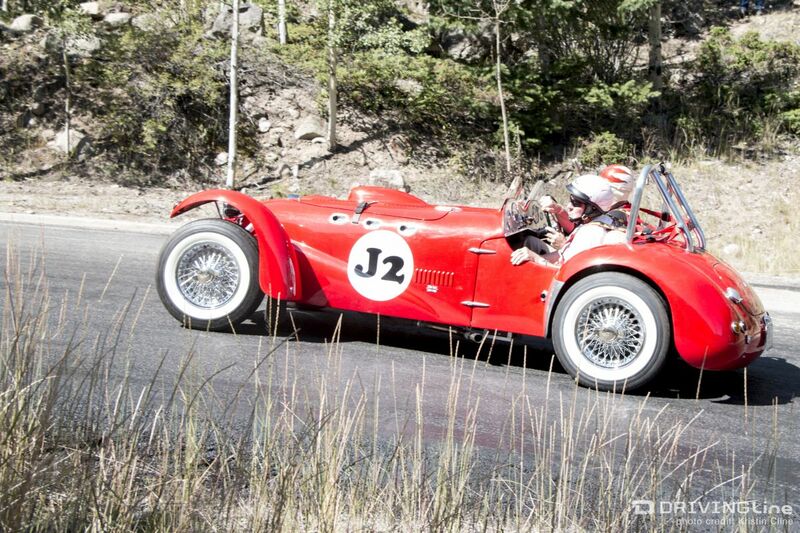 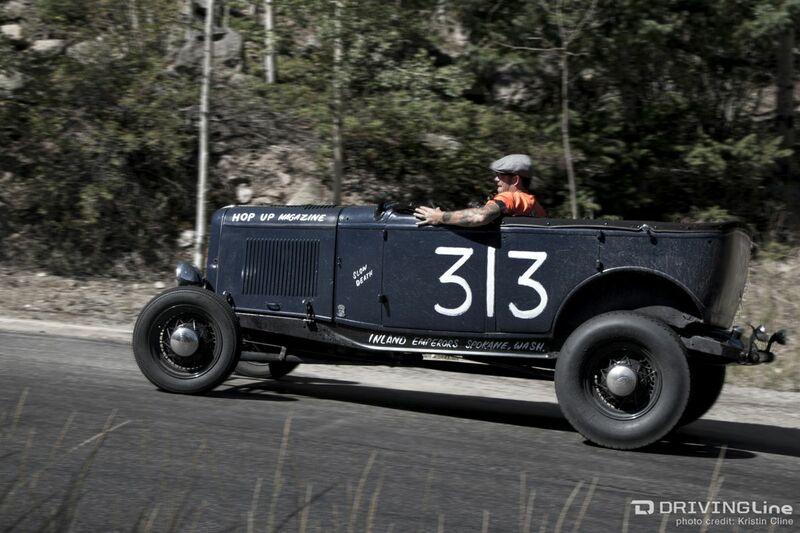 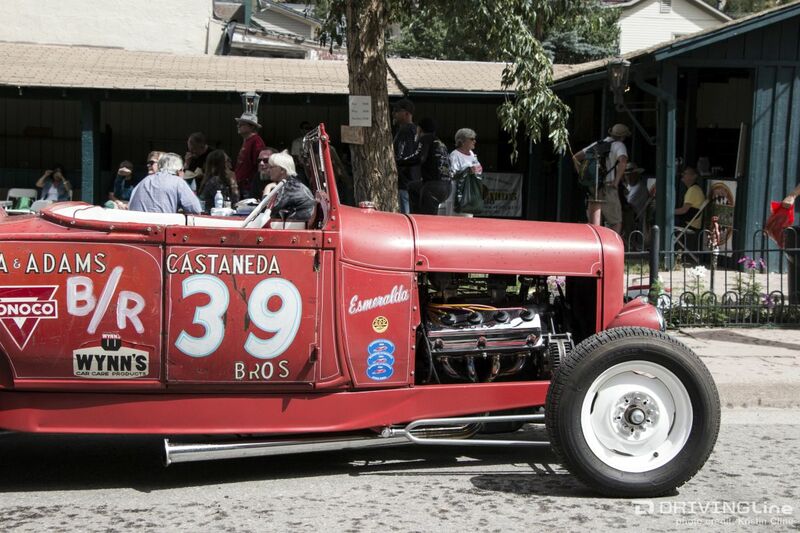 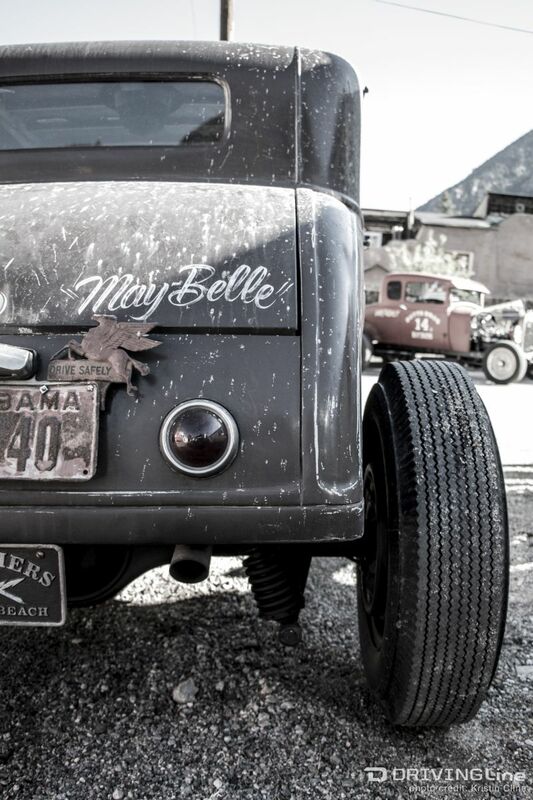 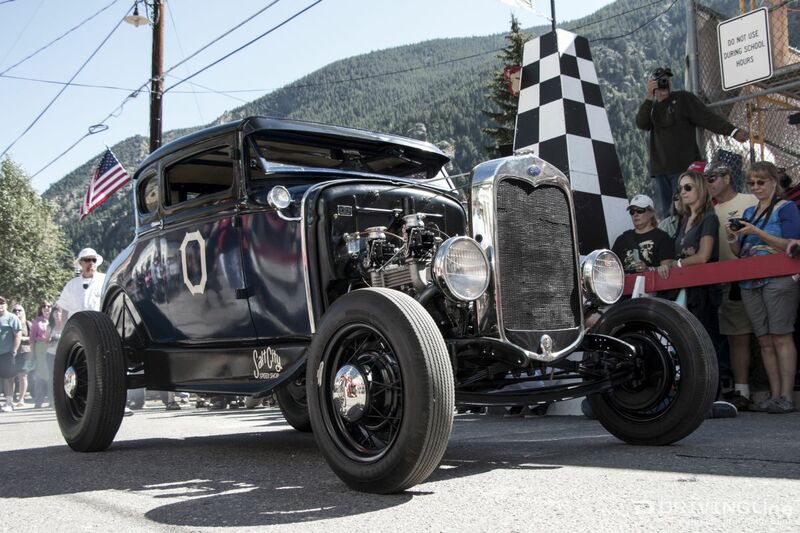 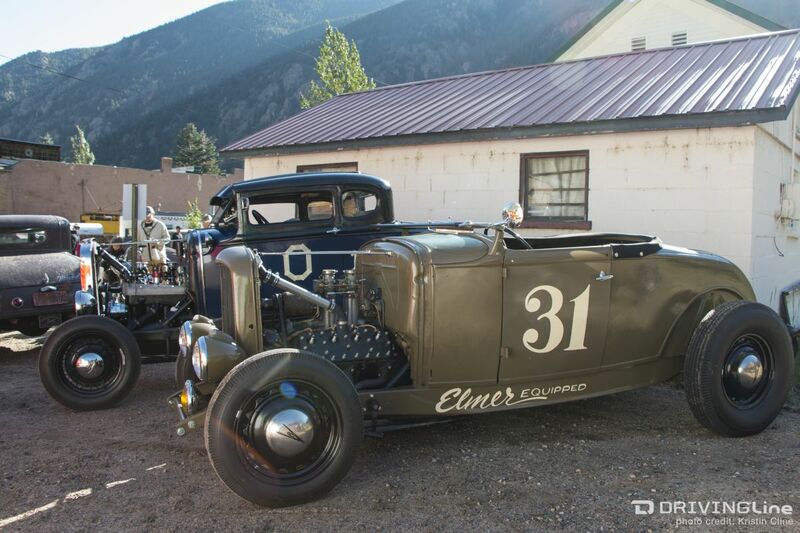 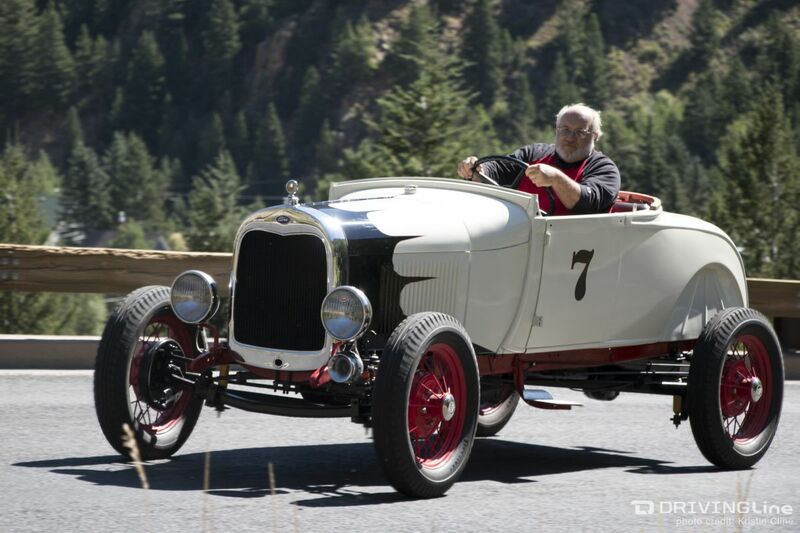 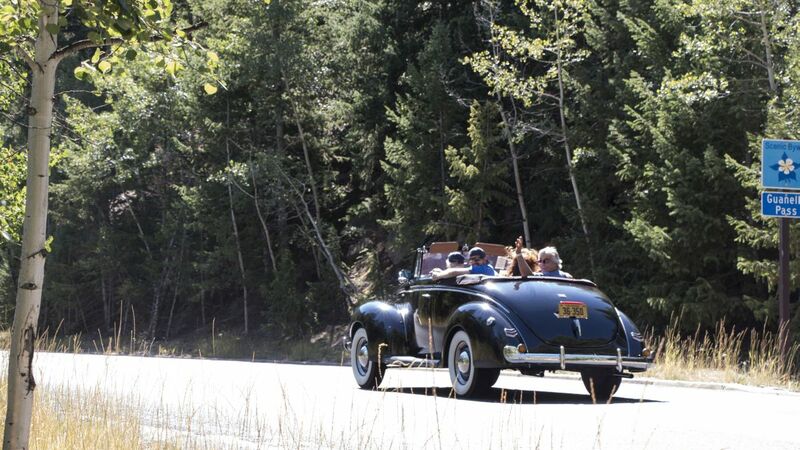 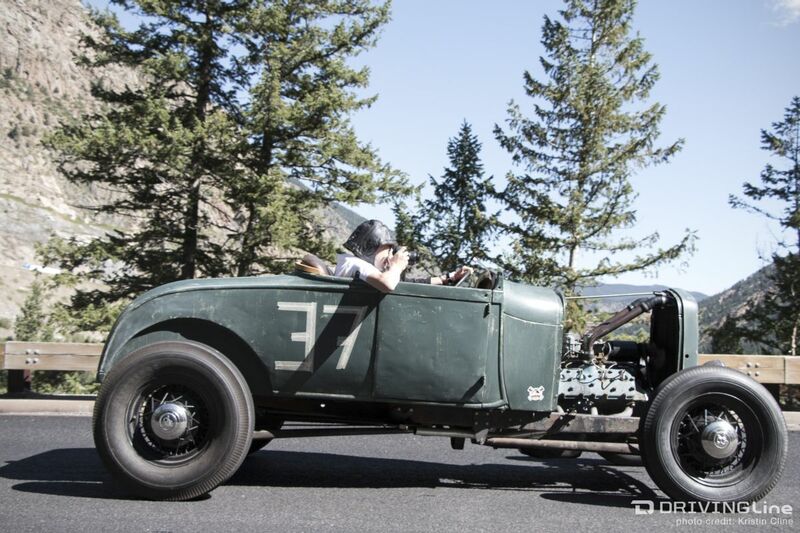 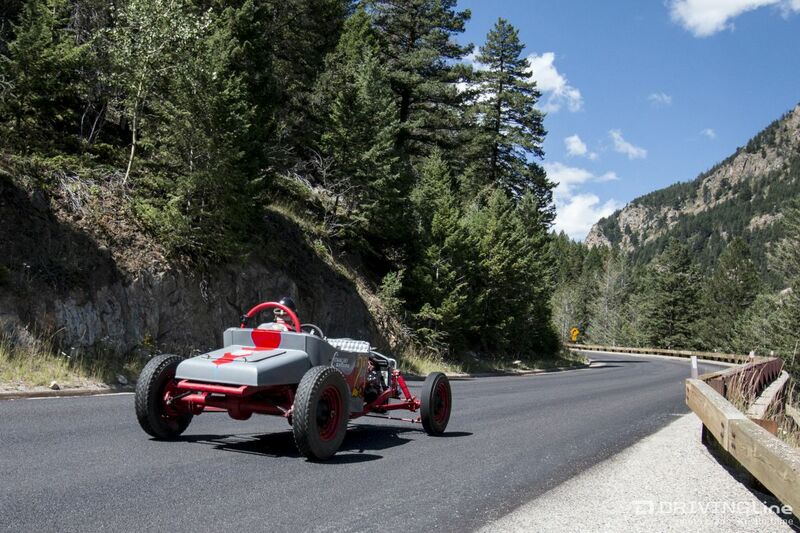 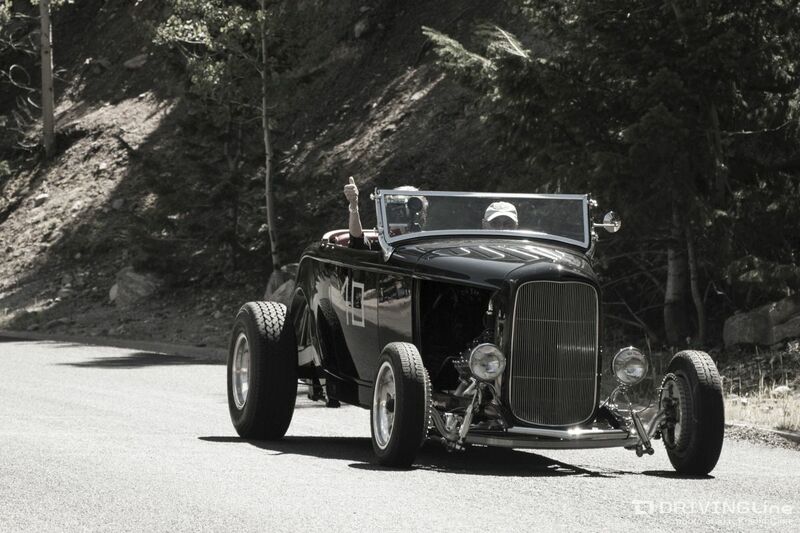 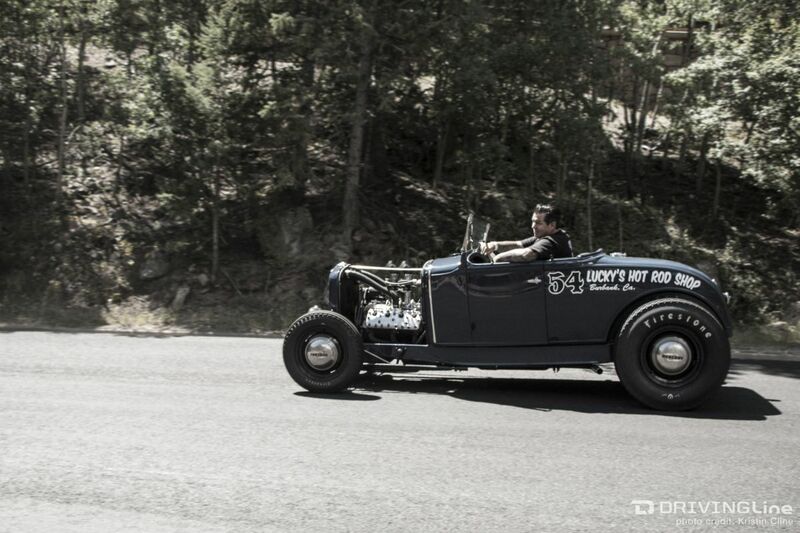 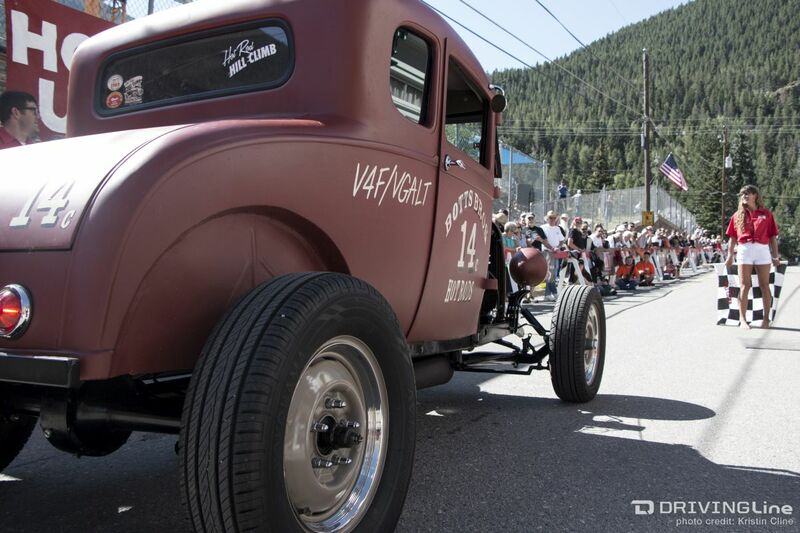 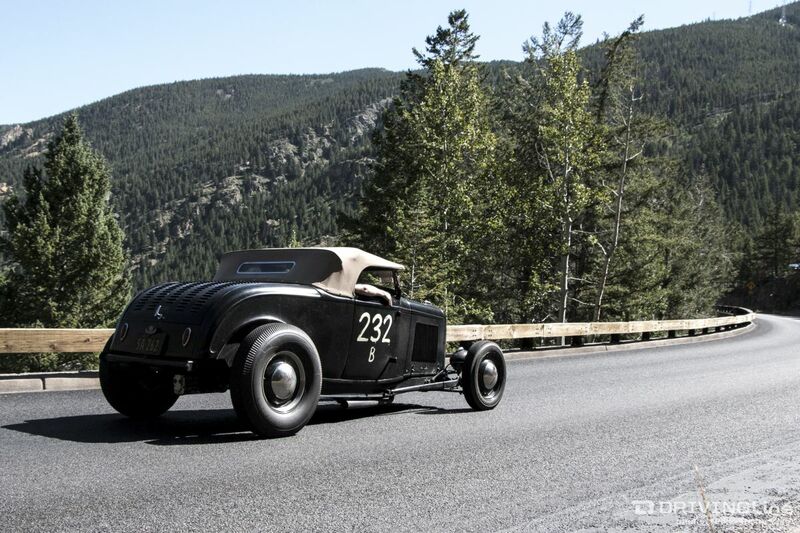 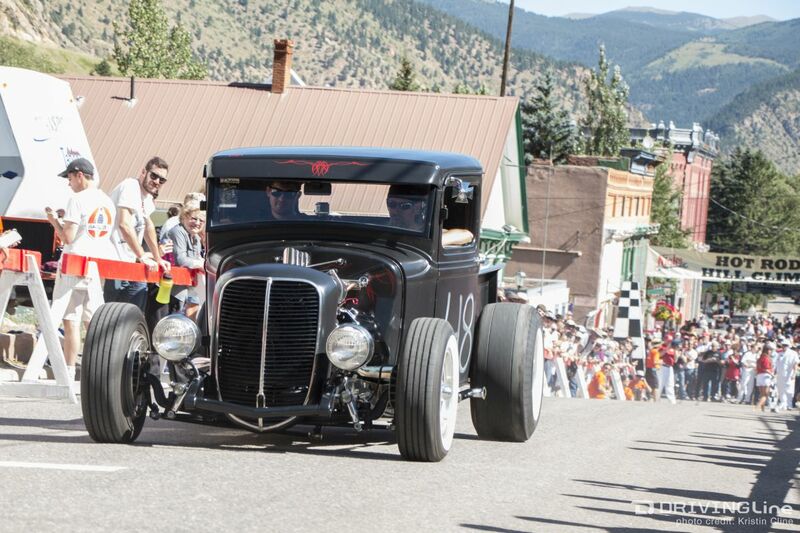 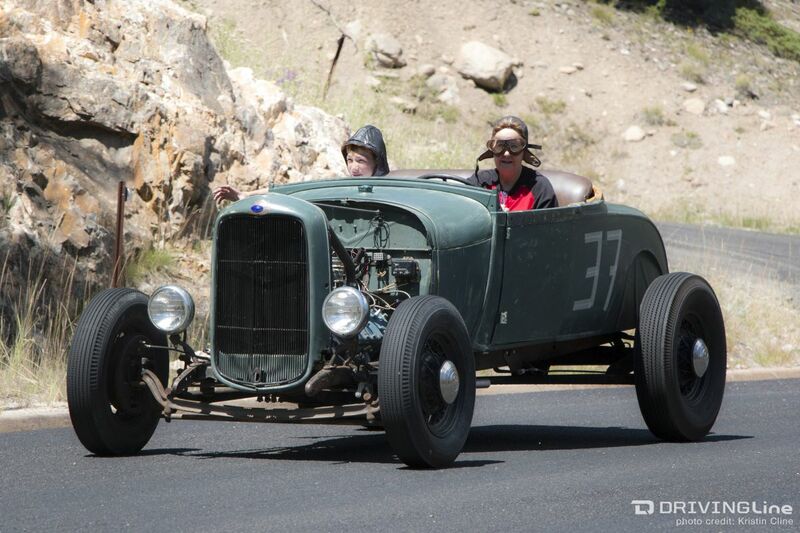 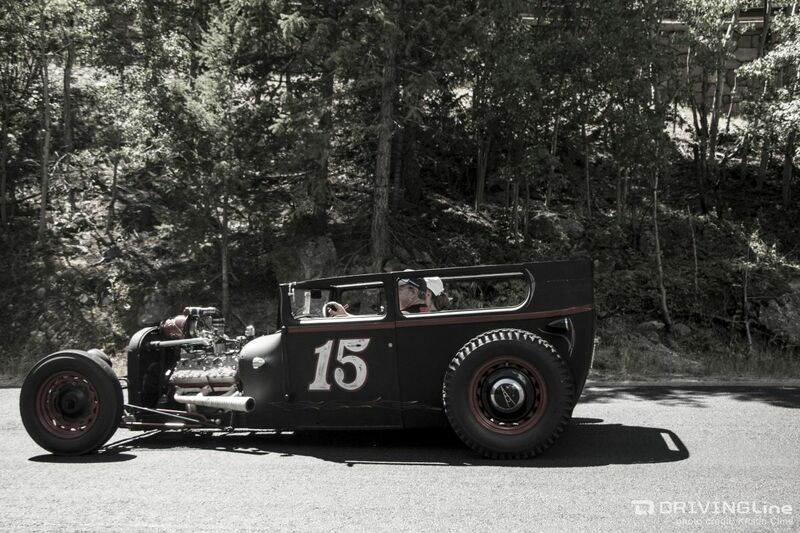 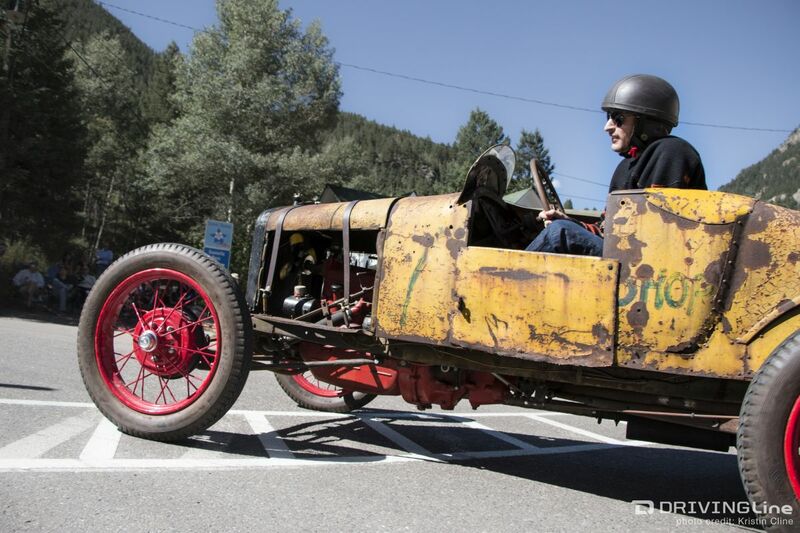 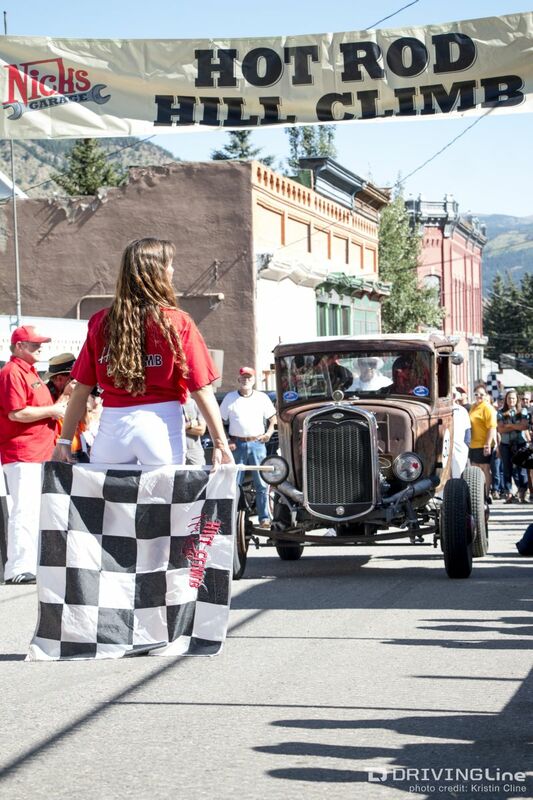 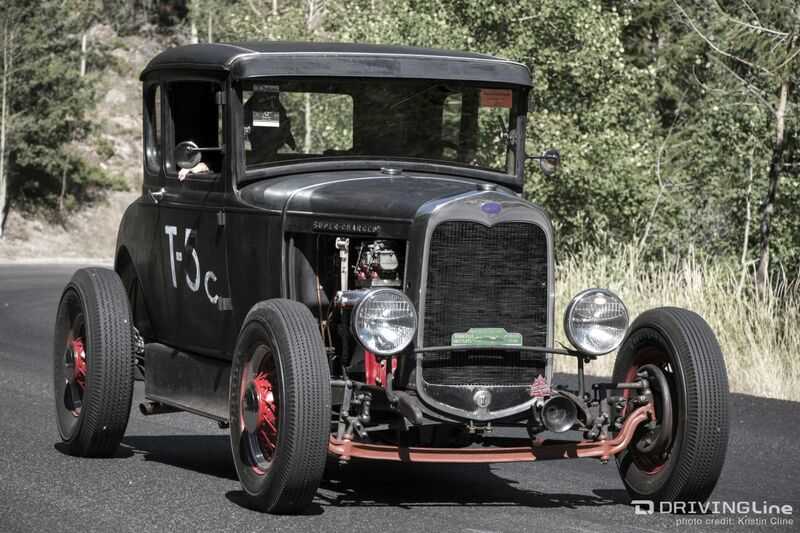 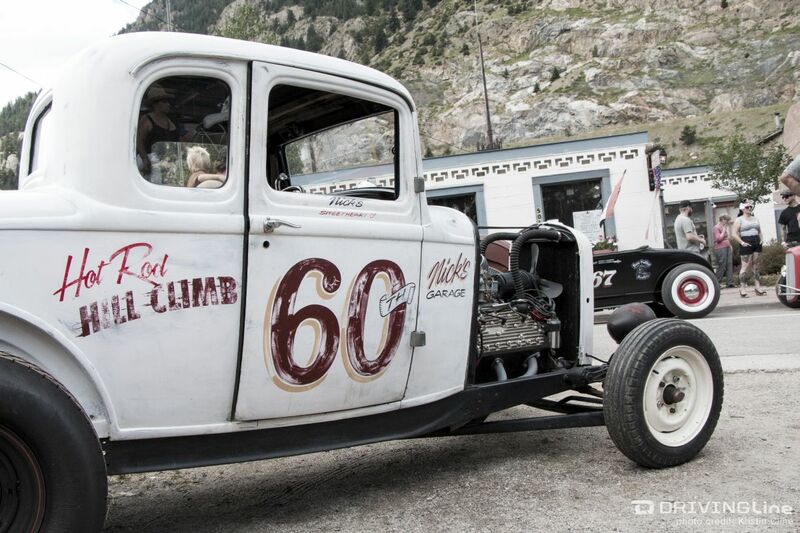 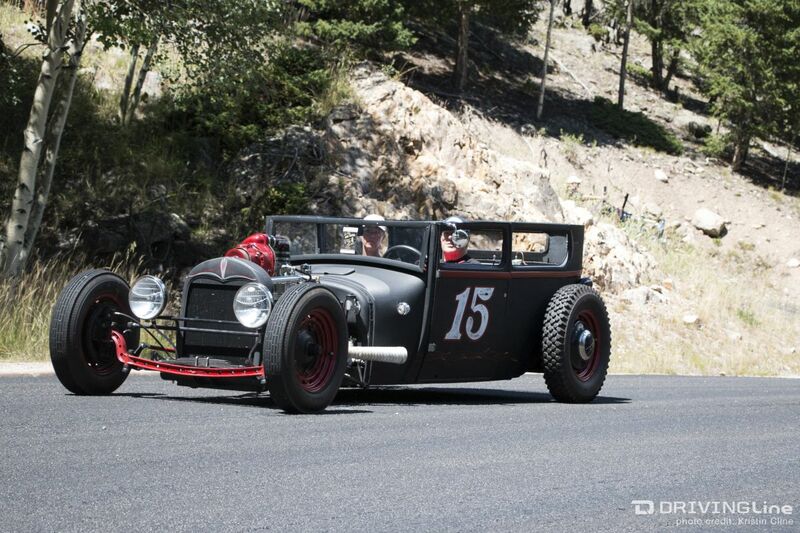 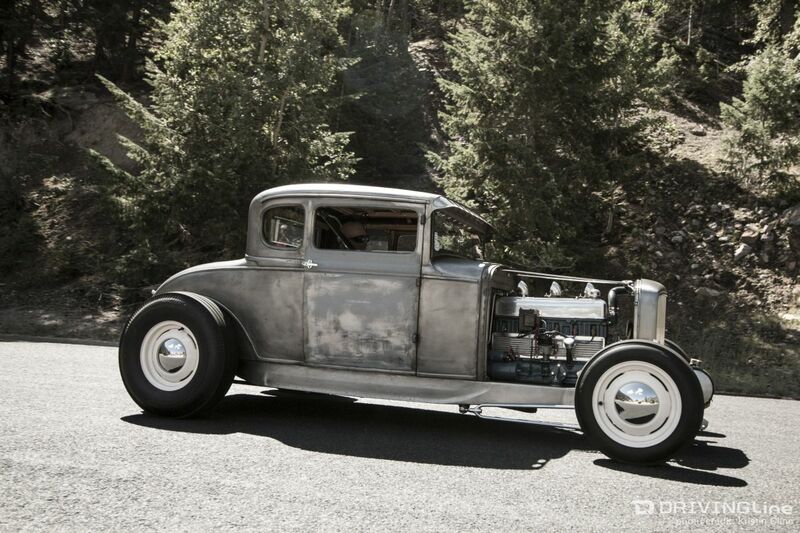 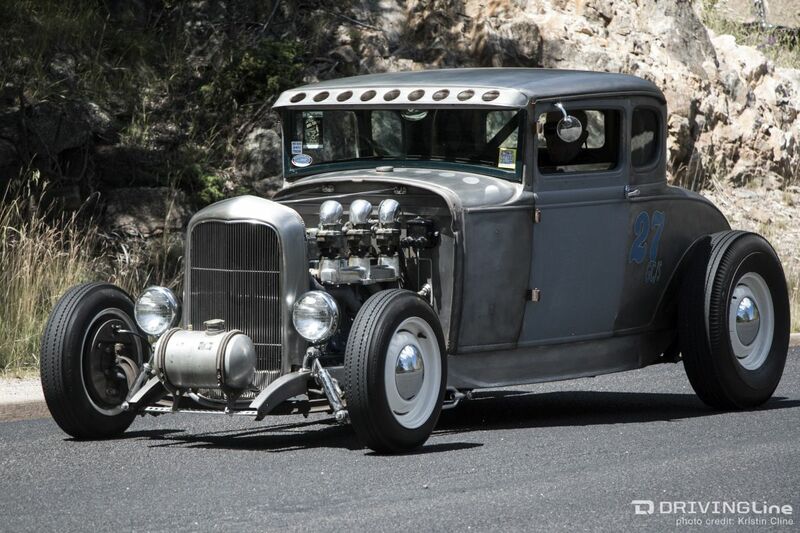 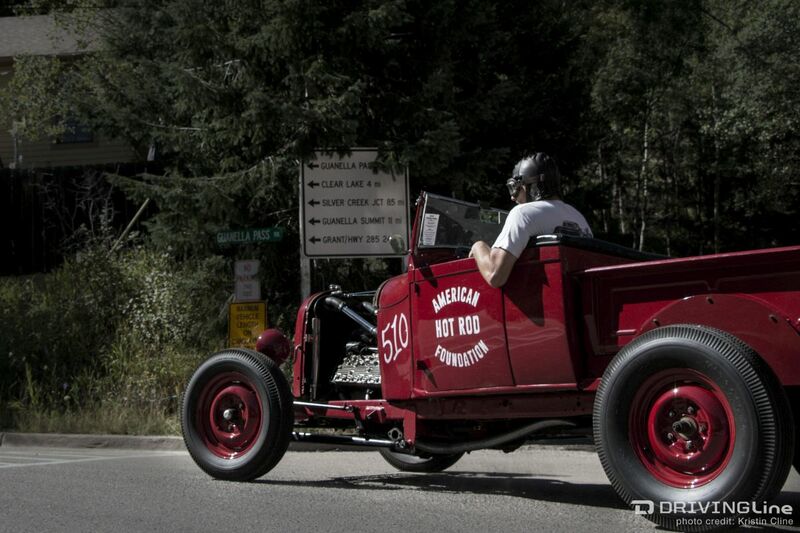 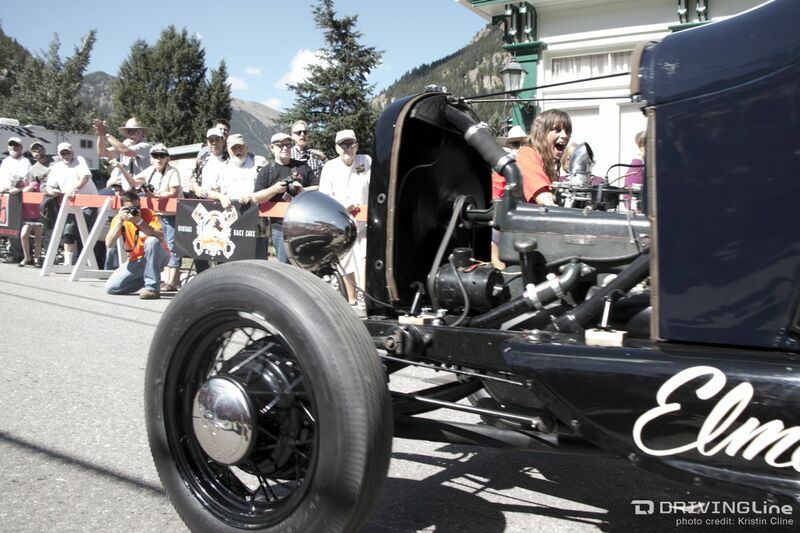 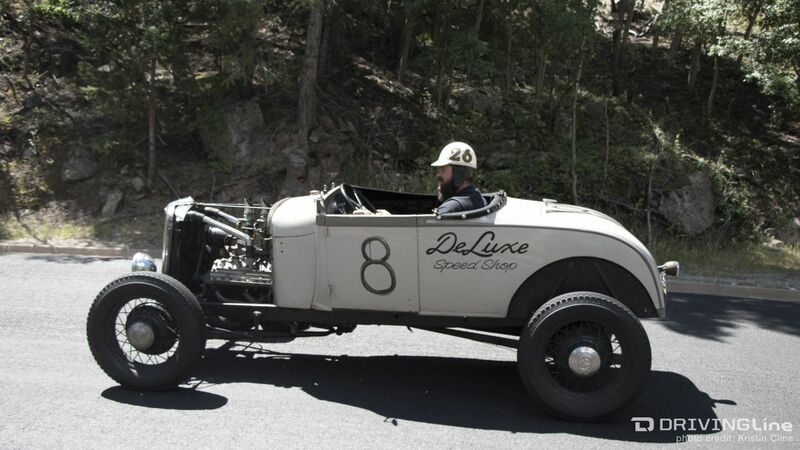 Soon enough these vintage beasts roar to life and spectators move from the streets of downtown to lining Guanella Pass to see and hear what they really came for… the Hot Rod Hill Climb! 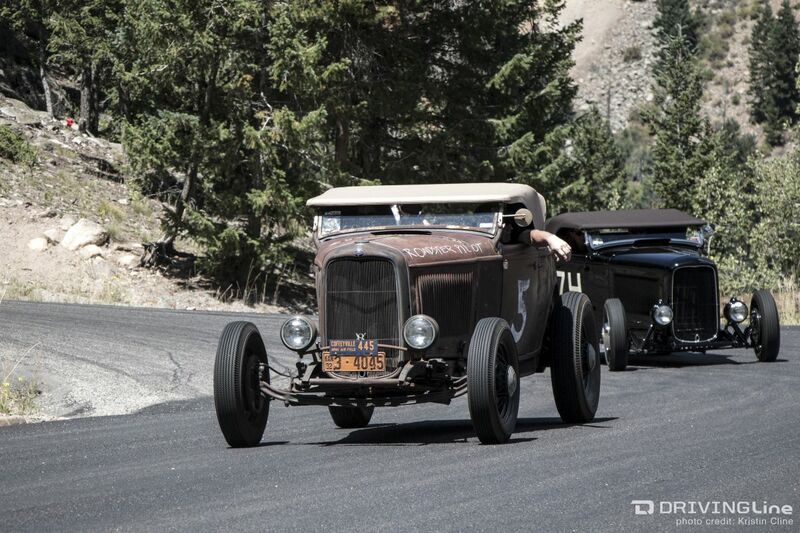 One-by-one vintage hot rods leave the starting line and open their throttles as they twist and turn up the pass. 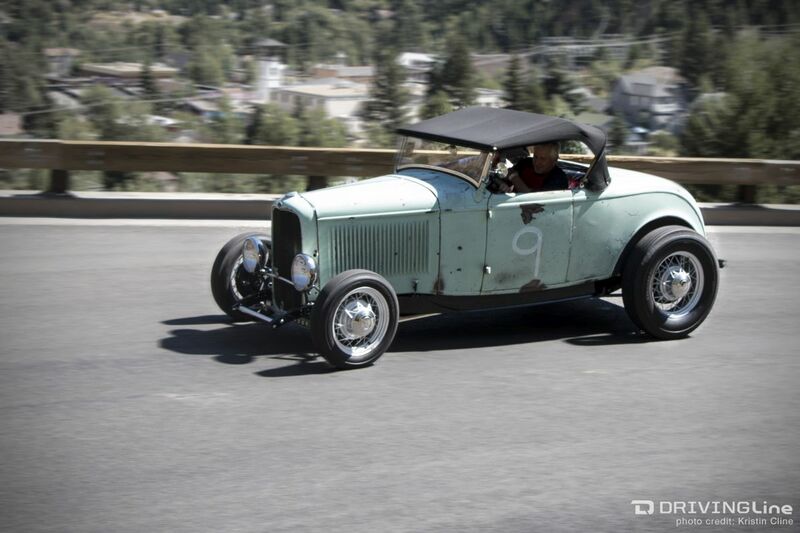 Although it’s no longer a dirt road like it was in ’53, the steep grade and hairpin curves provide plenty a challenge for these conglomerations of 60-year-old parts. 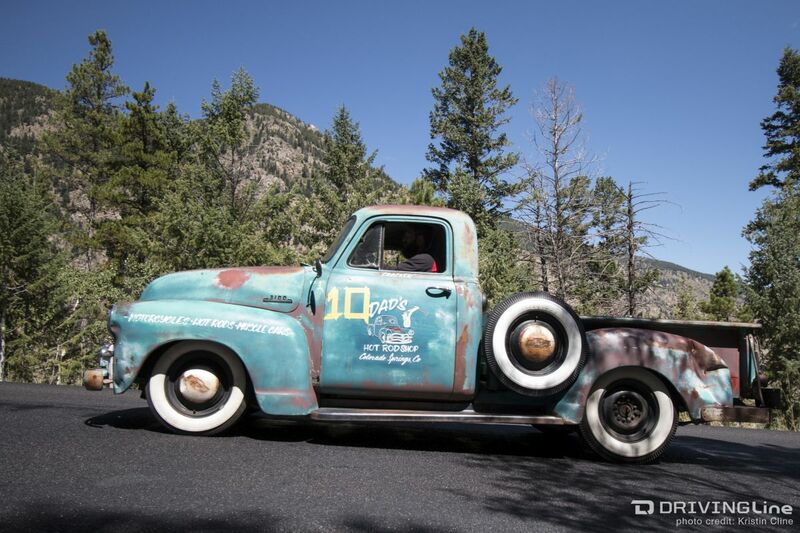 They say they don’t make ‘em like they used to, and if we’re talking about drum brakes and front transverse leaf springs... then yes. 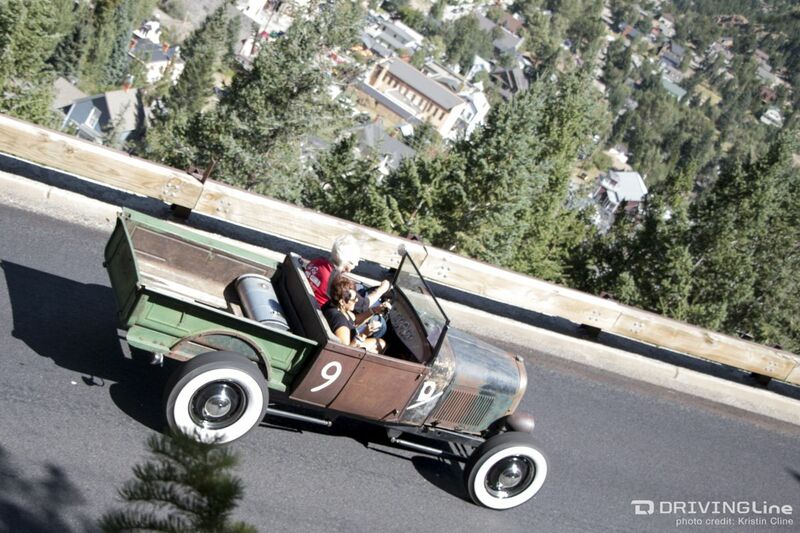 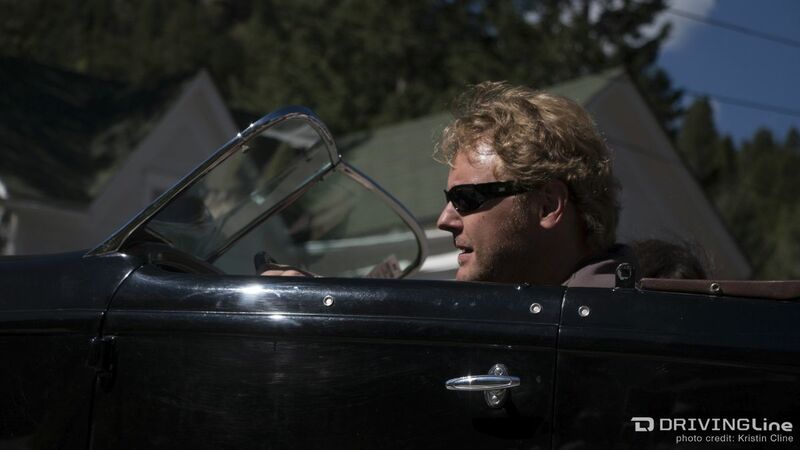 Riding in a ’32 Ford roadster at 75 mph is worlds different than what you’re used to cruising on the freeway in. 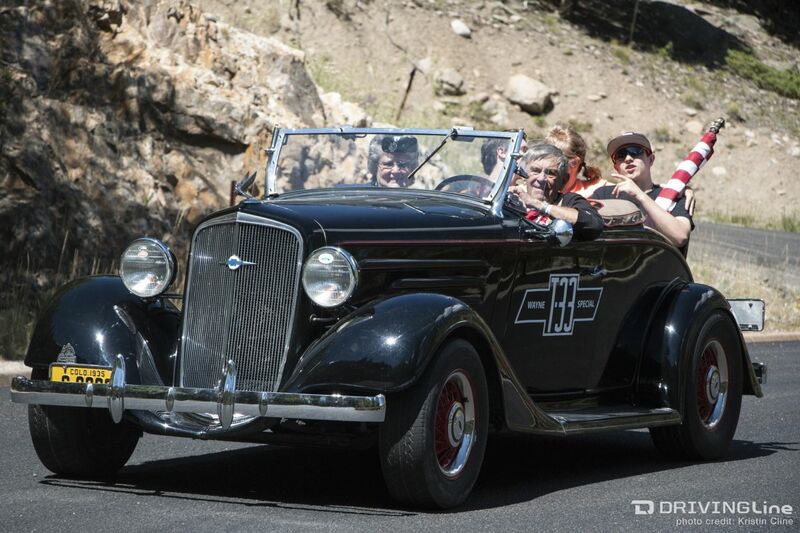 Hearing these beasts, throttle open and shifting gears, was the real highlight of this event for me. 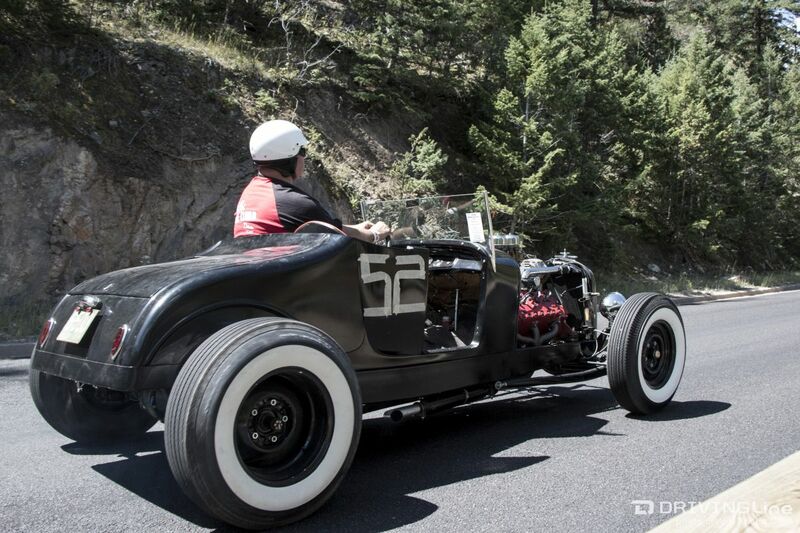 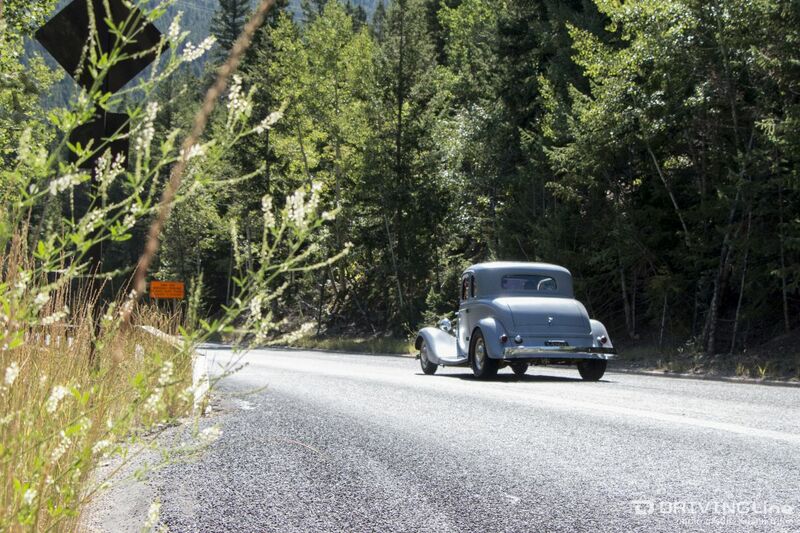 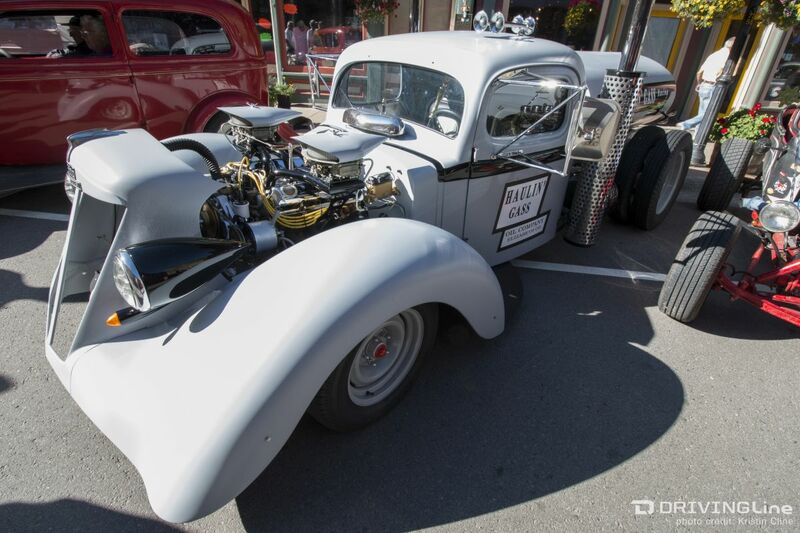 The sounds emanating from their Flathead, fourbanger, and straight-8 engines is a whole lot different when opened up on a mountain pass versus when you normally hear them, cruising into a car show. 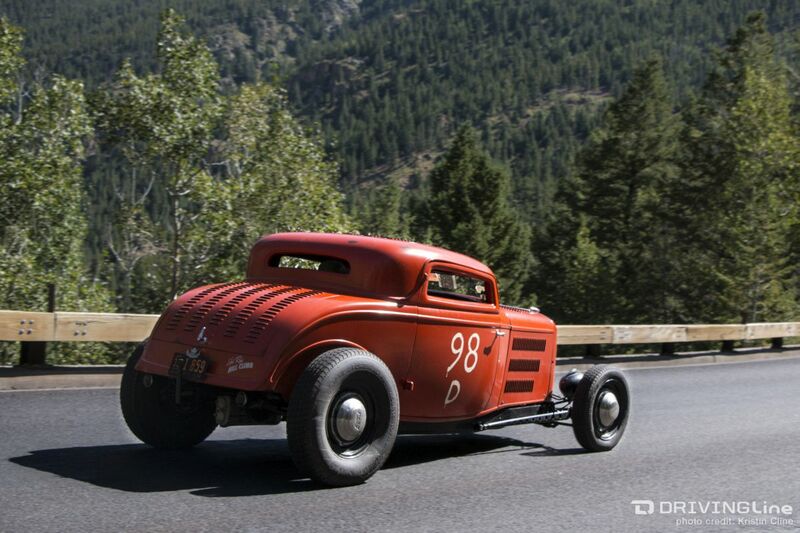 Not even having to hike back down the mountain in the rain after the second leg of this year’s Hot Rod Hill Climb had to be cancelled, due to emergency vehicles needing to use Guanella Pass, could have hampered my high spirits. 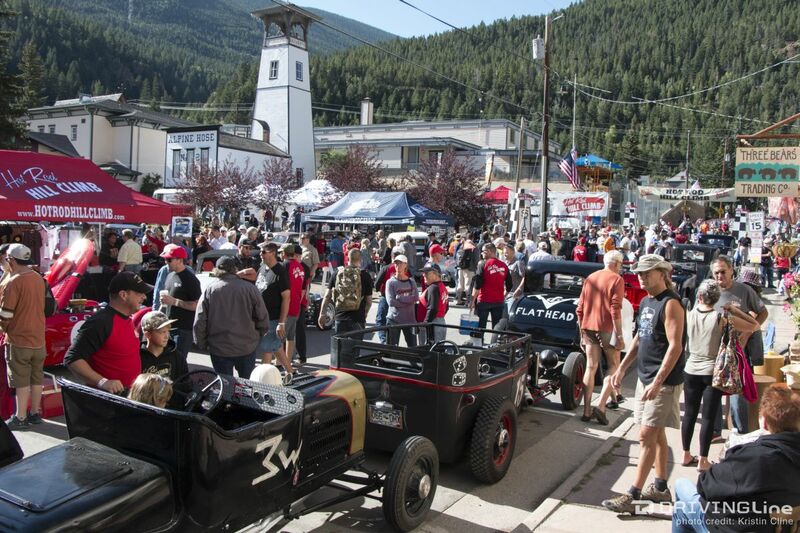 While it would’ve been nice to see them make a second pass up, the event continued on nonetheless with plenty of good people to chat with and awesome cars to spot. 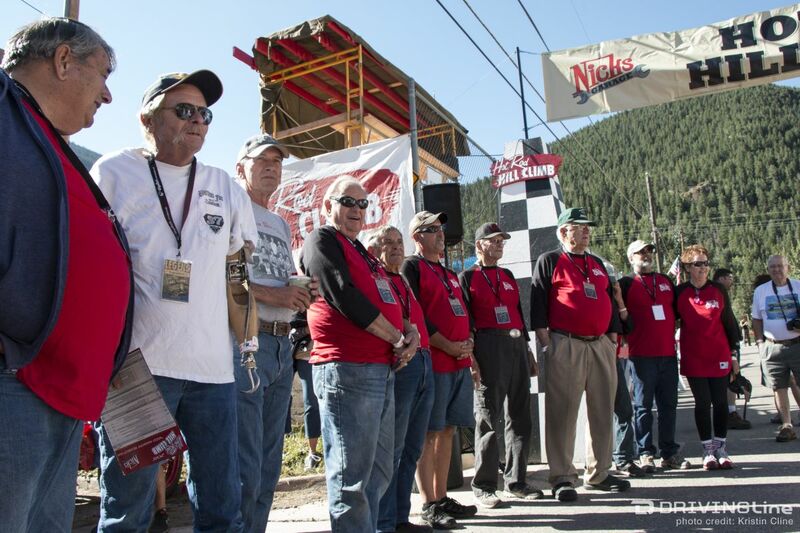 At the awards ceremony ending out the day, the family atmosphere of this cobbled-together group really shone through. 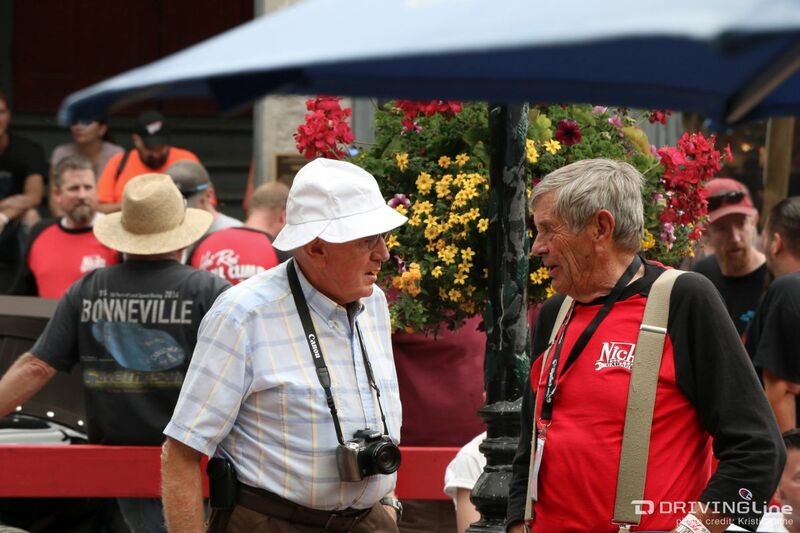 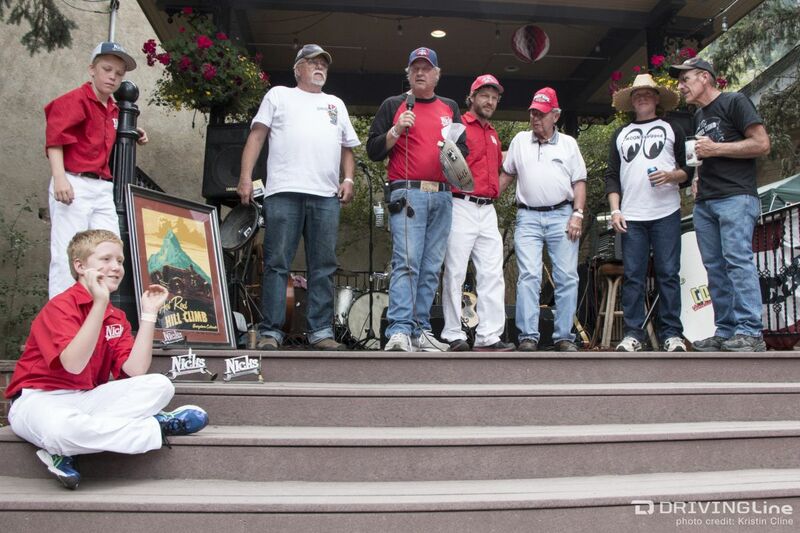 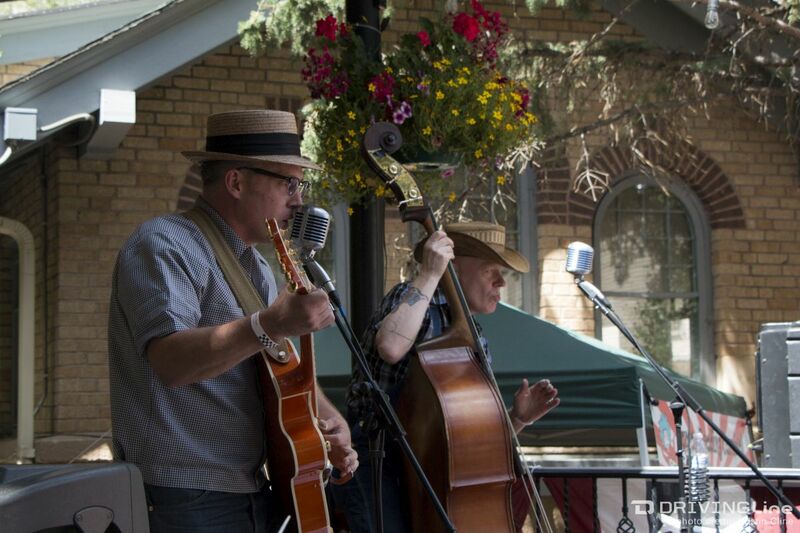 As Mike Nicholas stated best, “The spirit here is awesome!” We couldn’t agree more. 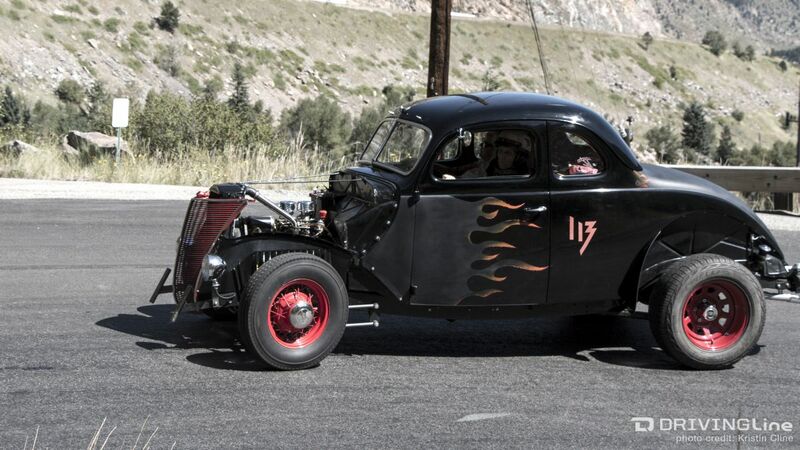 Continue browsing through the gallery below or click here to get a listen of these mighty machines in our Driving Line Hot Rod Hill Climb video – we even nabbed a clip of flathead engine running without it’s valve covers off for those of you who might not be so sure about how a flathead engine is different! 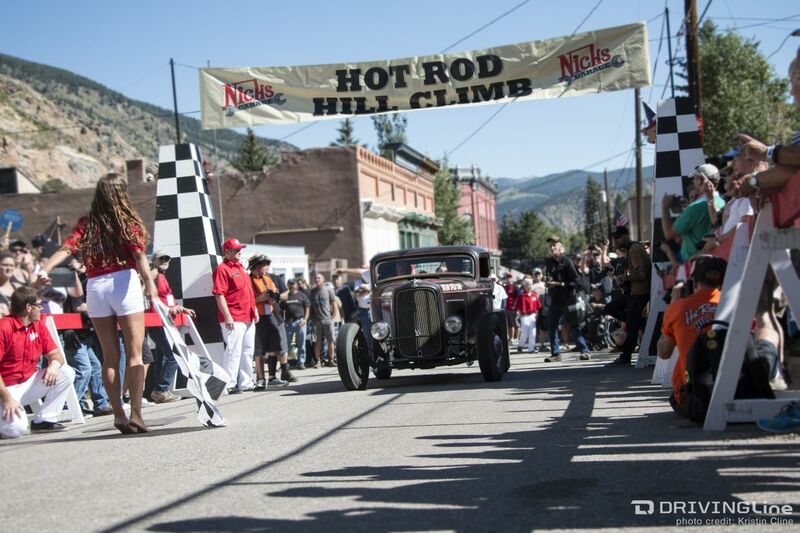 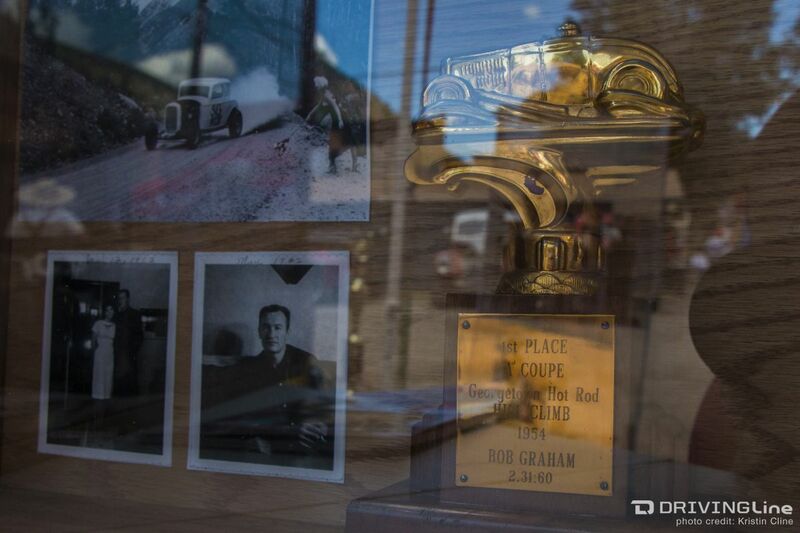 Not that prizes really matter, but we've also included the 2015 Hot Rod Hill Climb Awards Given here.